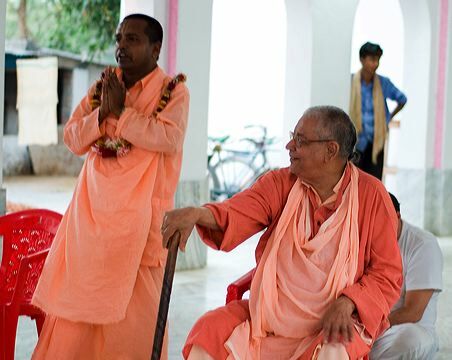 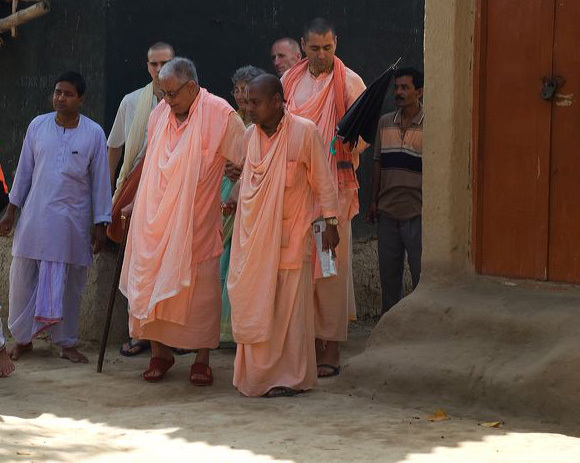 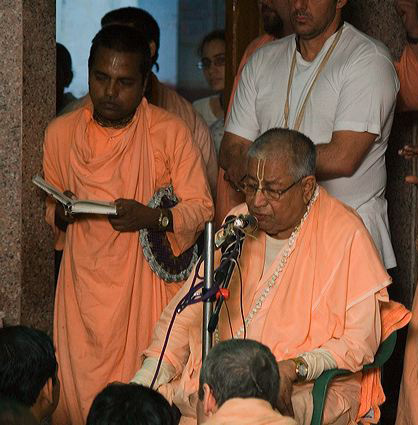 It is impossible to imagine how much service His Divine Grace On Vishnupad Srila Bhakti Nirmal Acharya Maharaj has done in this life. 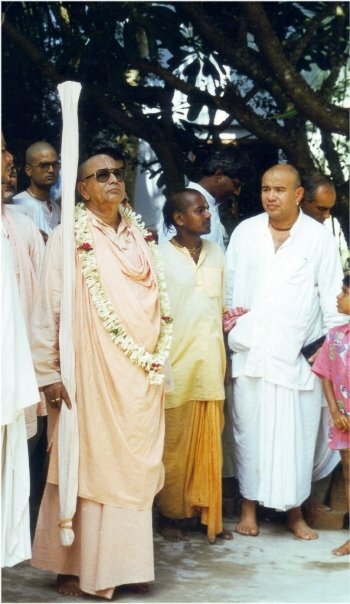 The photographs presented here are only a few glimpses into a particle of the service and contribution that His Divine Grace has made. 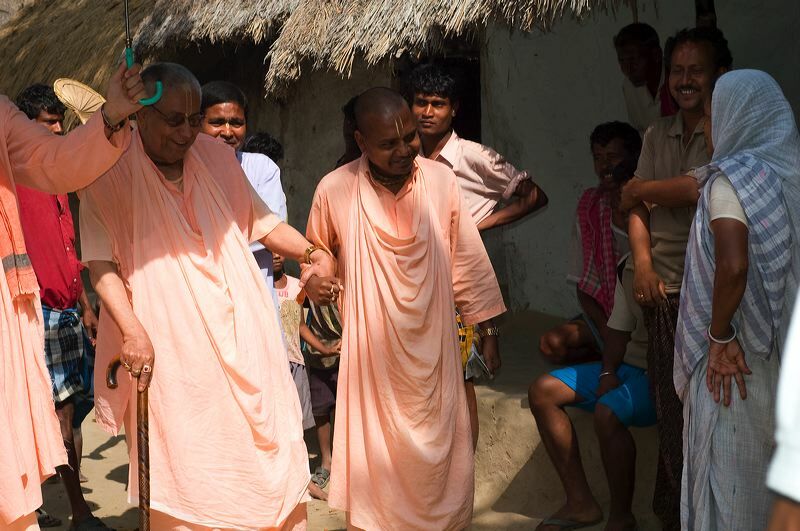 May these photographs become a source of inspiration for the service and dedication to the lotus feet of Sri Gurudev that His Divine Grace embodies. 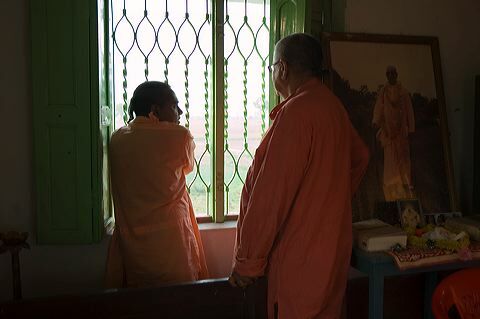 Outside the book room in Paschatya Bhavan. 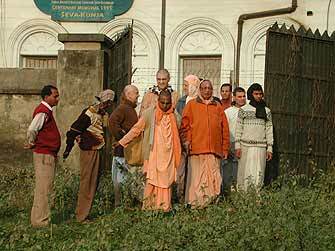 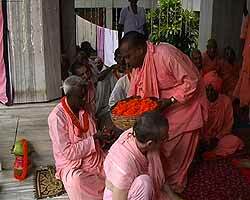 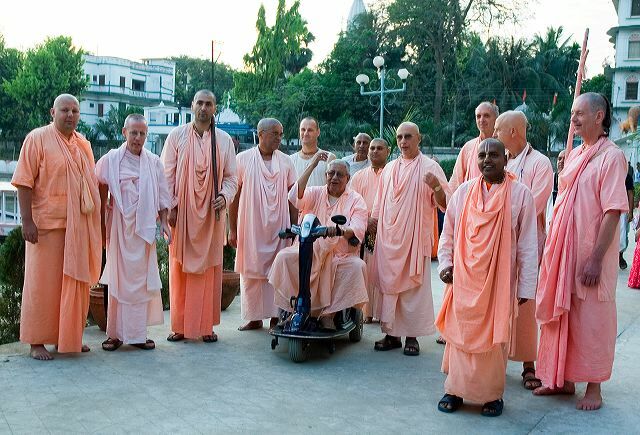 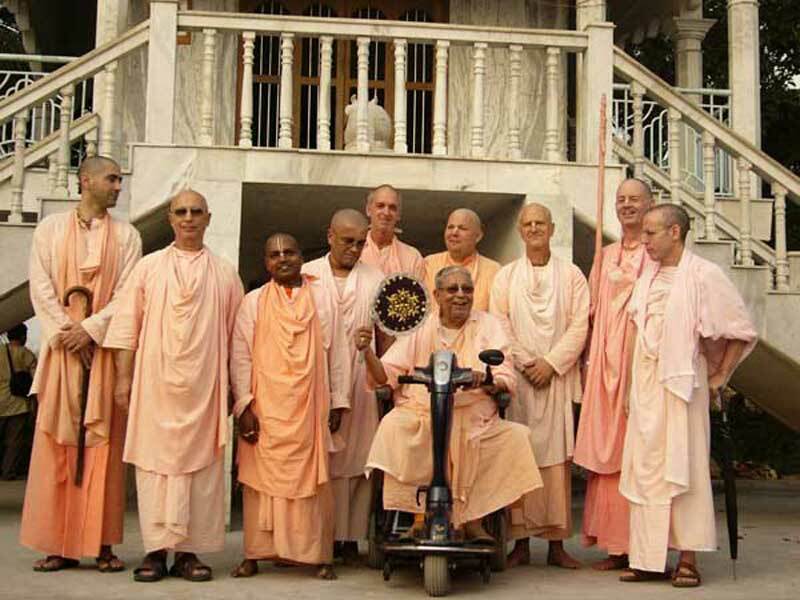 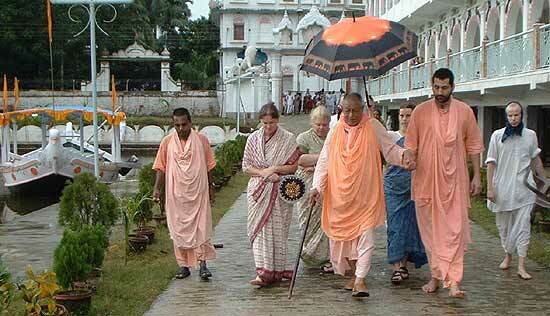 The appearance day of Srila B.S. 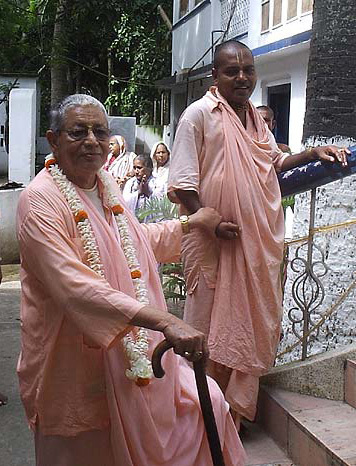 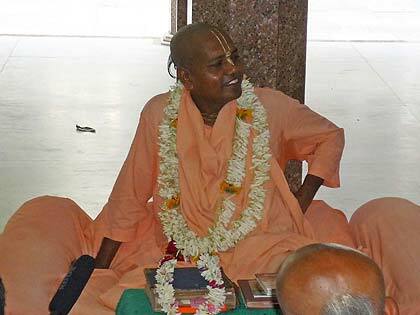 Govinda Dev-Goswami Maharaj. 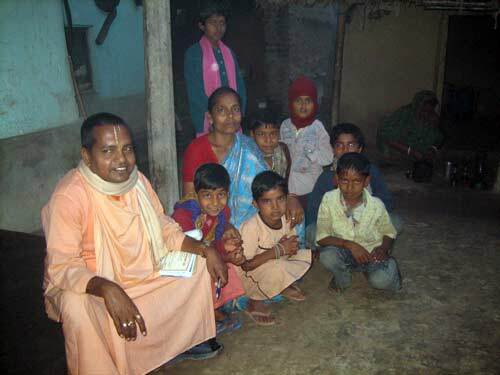 With Srila B.S. 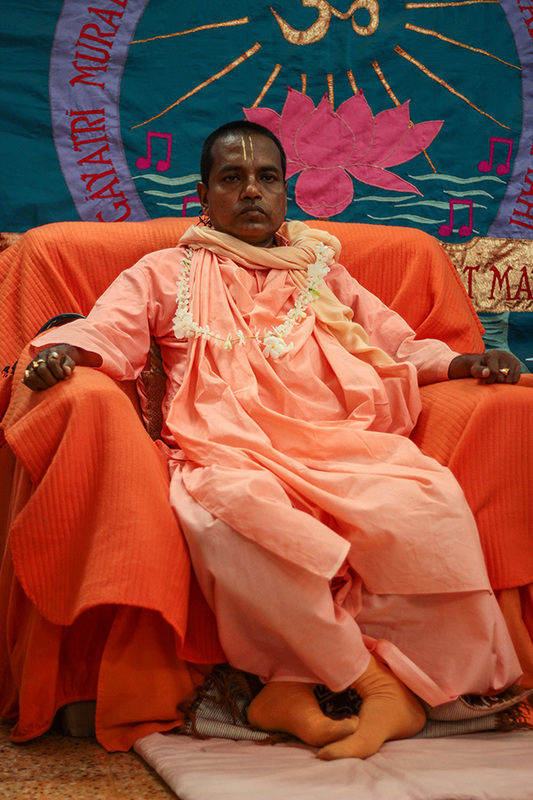 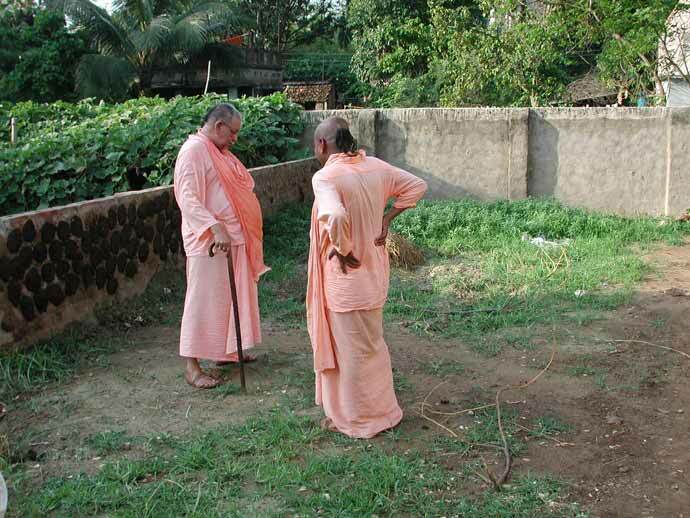 Govinda Maharaj, discussing perspective cow seva. 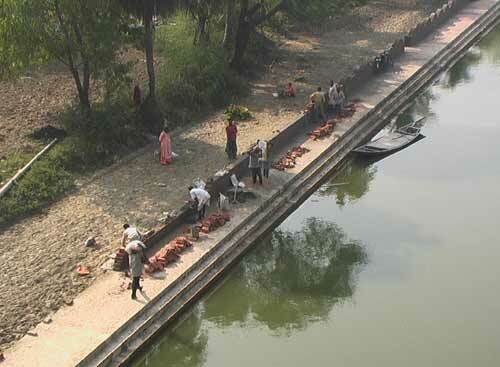 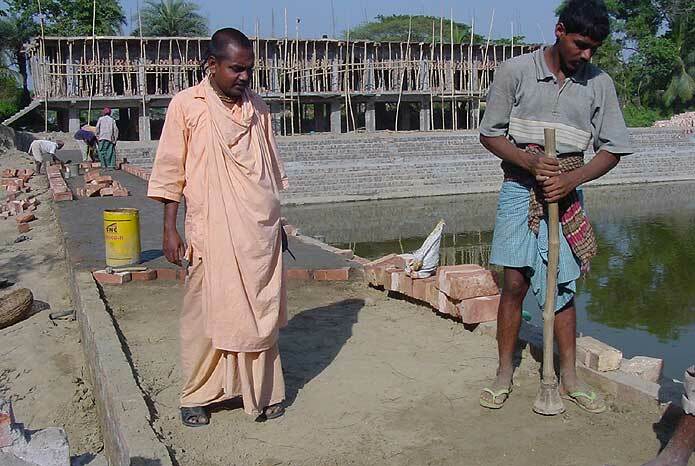 Left: In Bamunpara, observing the very first stage of constructing the temple. 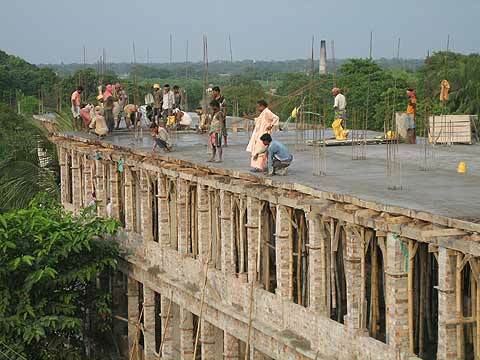 Right: The day construction at Sri Govinda Kunda was inaugurated. 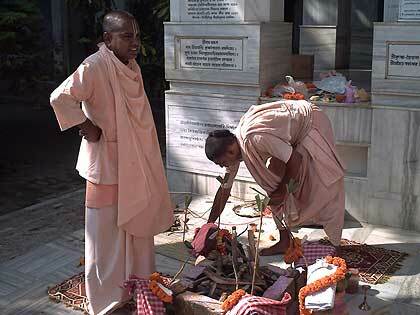 At the small temple marking the spot of Srila Govinda Maharaj's birth. 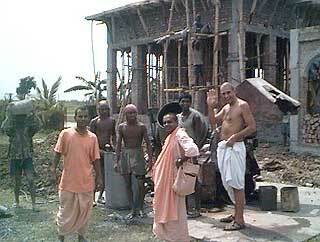 Srila B.S. 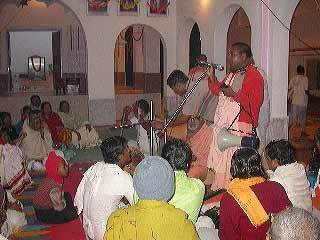 Govinda Dev-Goswami Maharaj worshipped Lord Siva. 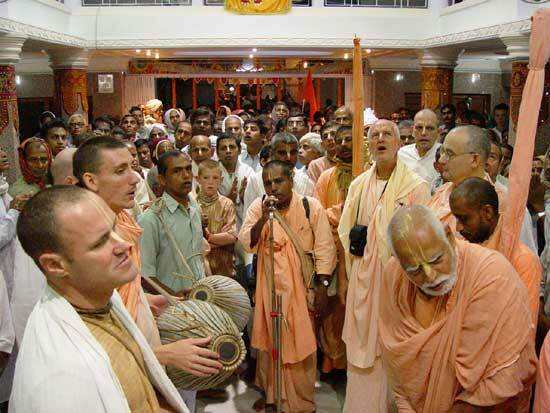 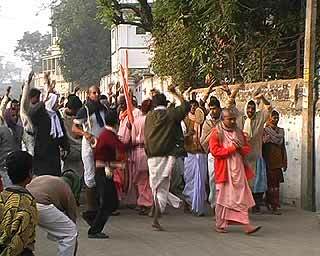 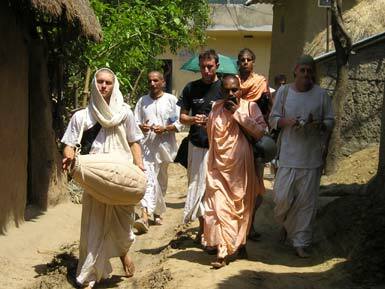 Left: during parikrama. 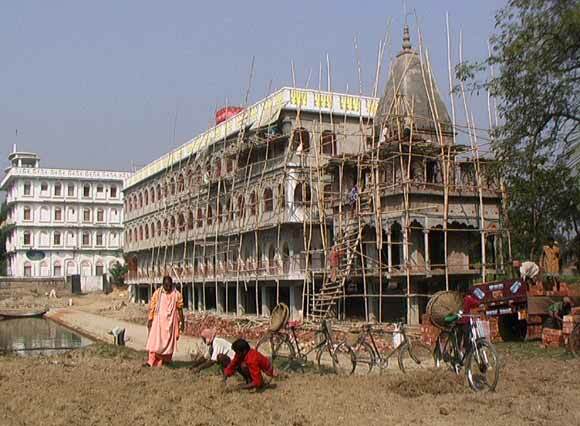 Right: Bamunpara temple construction. 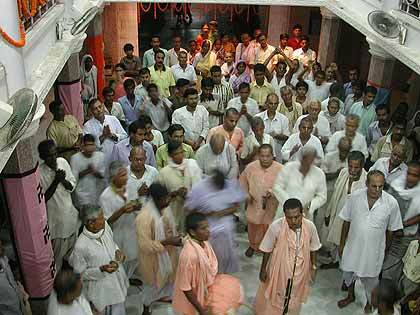 Sri Radhastami festival in Sri Hapaniya Dham. 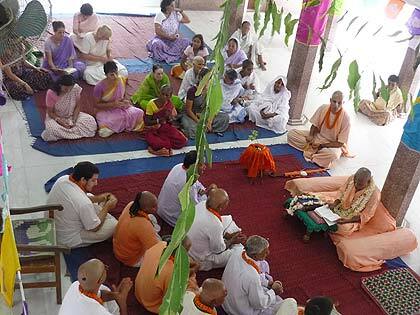 In Sri Bamunpara Dham, close to the temple inauguration time. 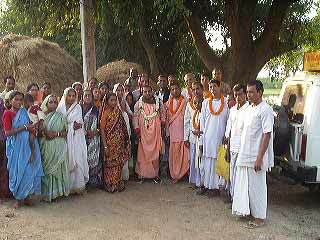 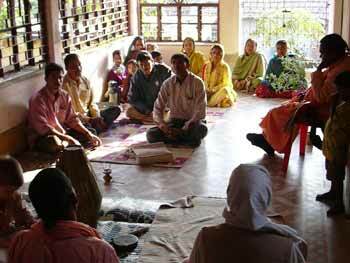 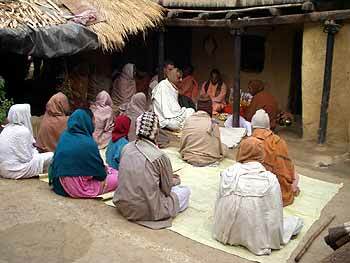 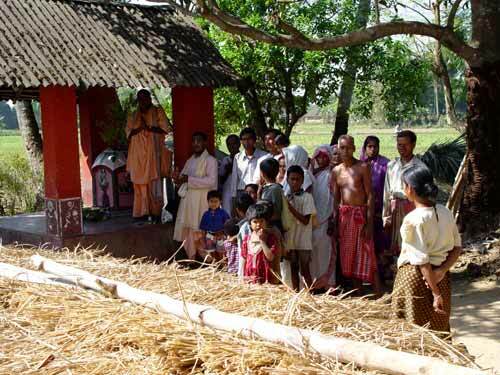 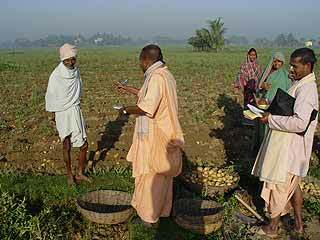 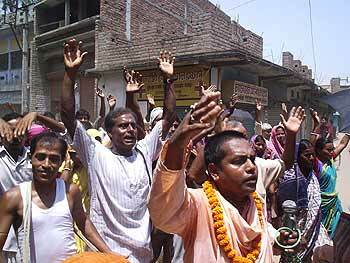 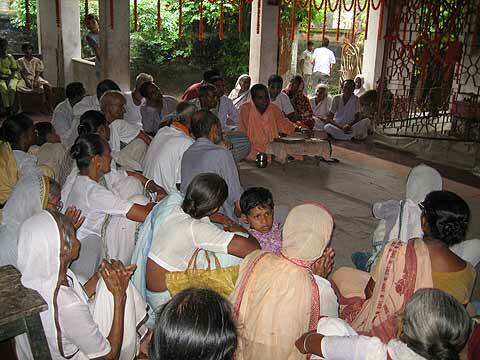 Village preaching and collection (below). 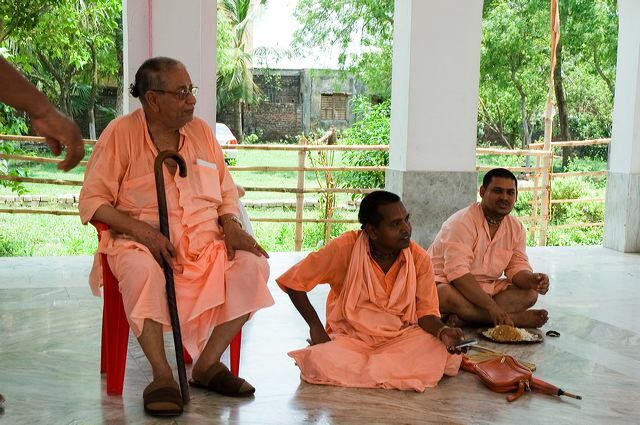 In Sri Puri Dham, at Sri Tota Gopinath Temple. 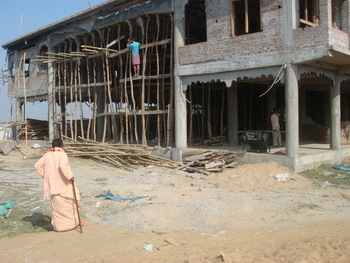 Supervising the construction of the new prasadam hall. 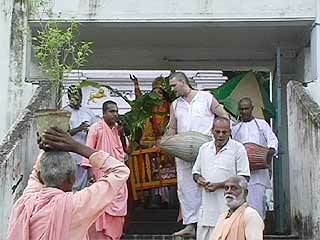 Sri Janmastami (left) and following it Nandotsav day (right). 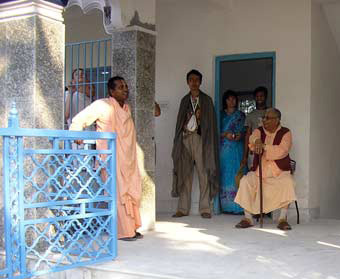 Left: In Sri Hapaniya Dham. 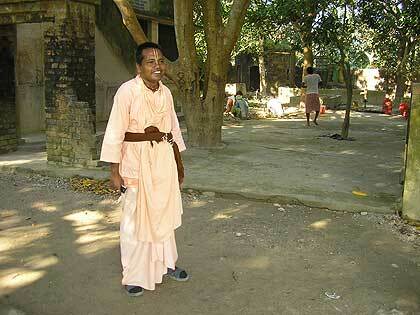 Right: In a village called Nasigram. 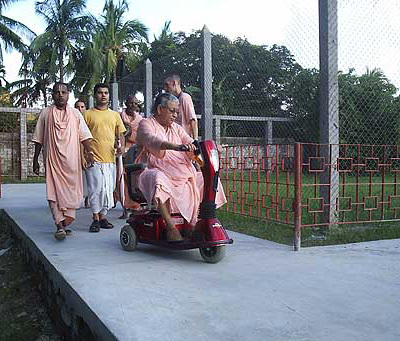 At the Math's Bonorpukur field. 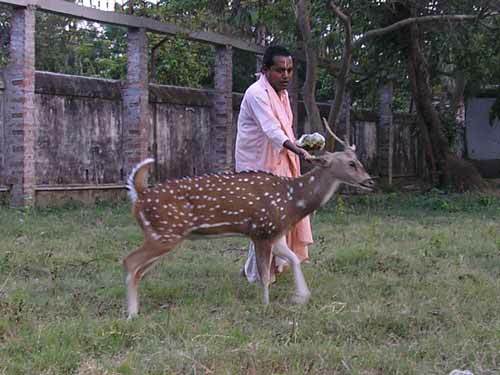 Left: At the Lands of Nectar. 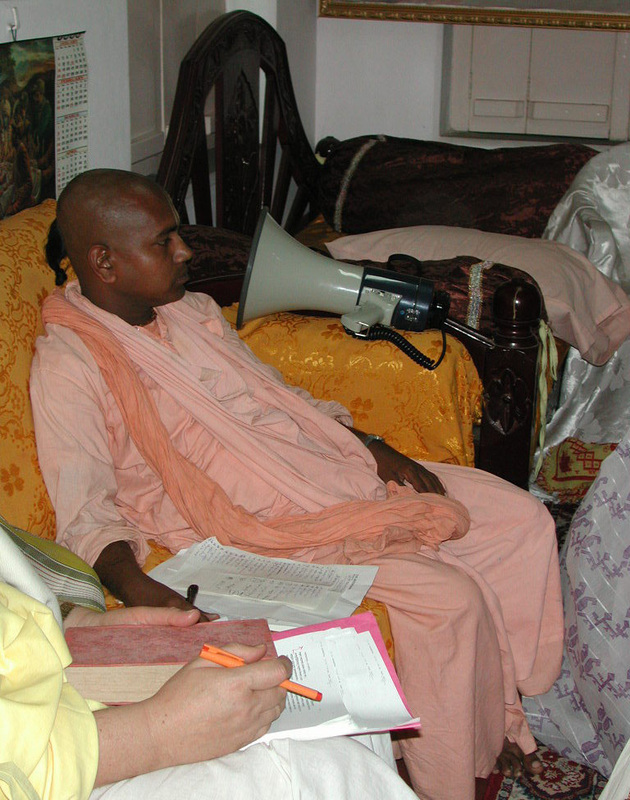 Right: Preaching at Kasigram. 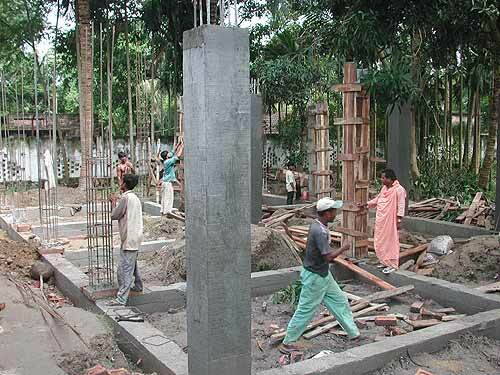 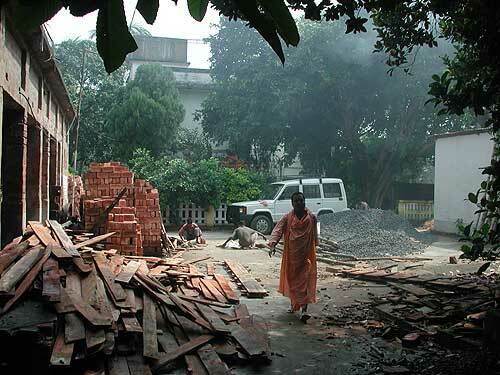 Supervising the construction of the Sevak Bhavan in Kolkata, Dum Dum Park. 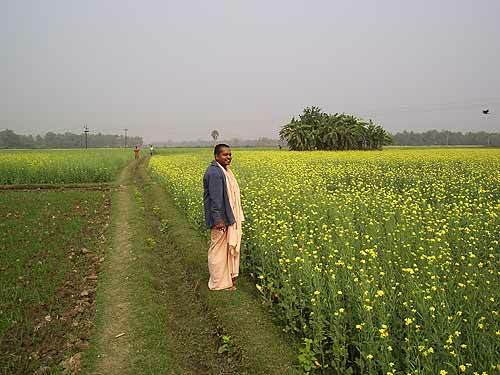 The beautiful mustard field of our Math. 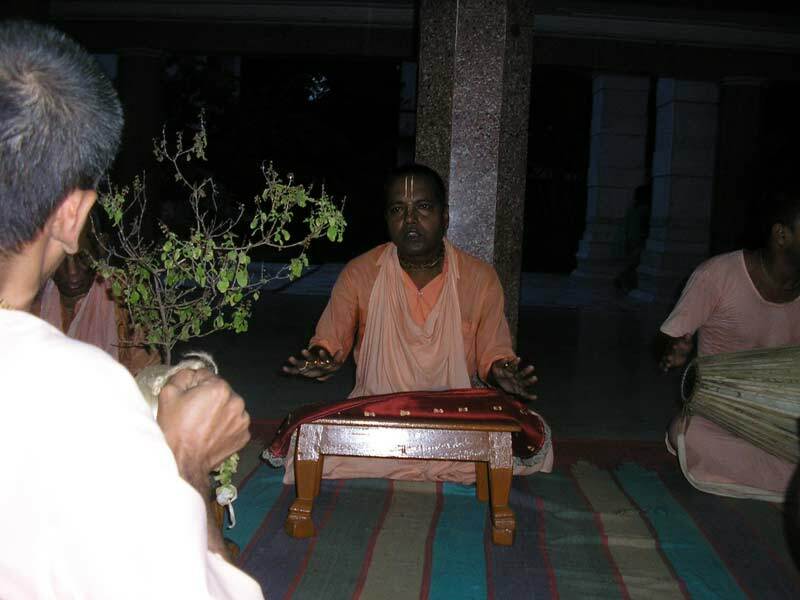 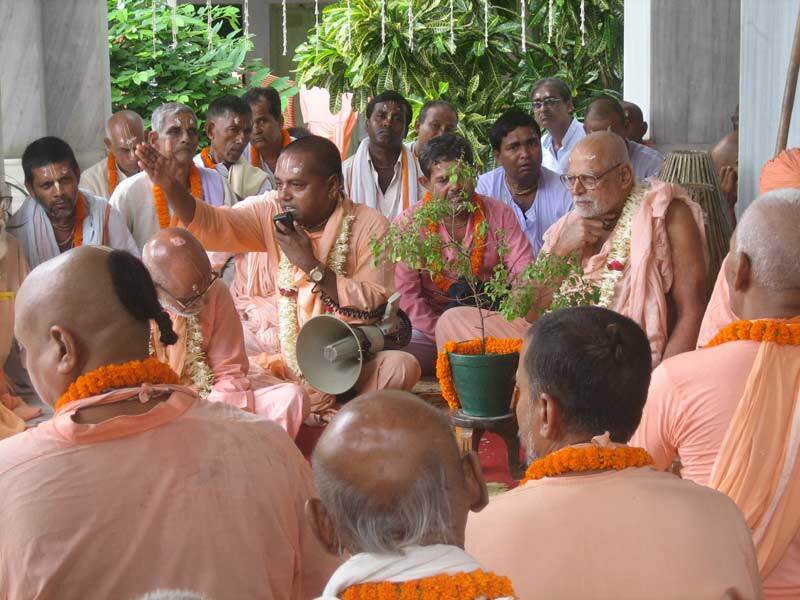 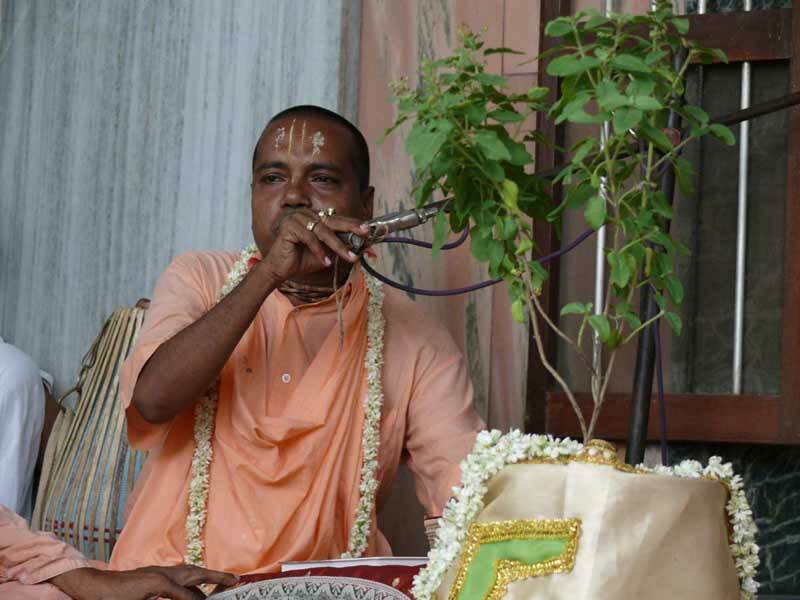 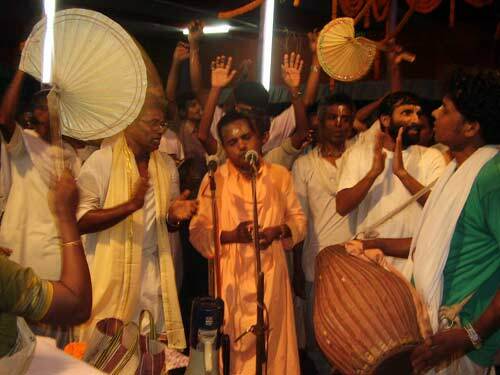 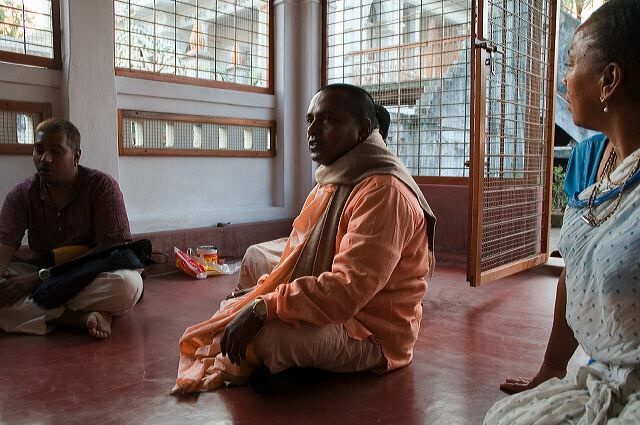 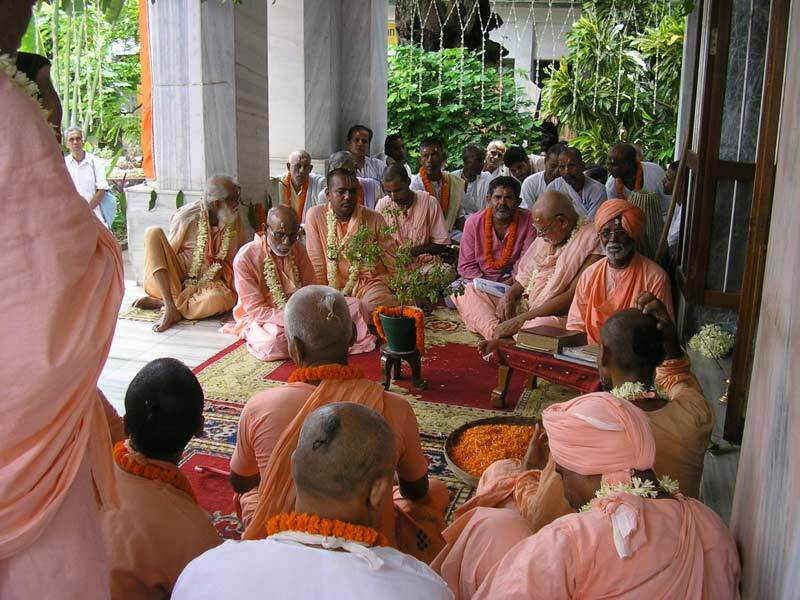 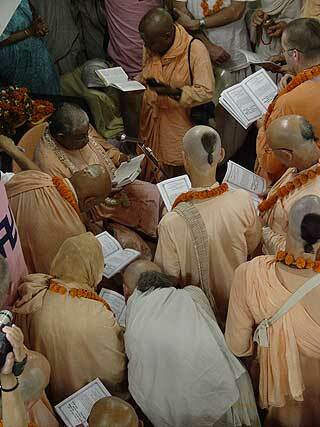 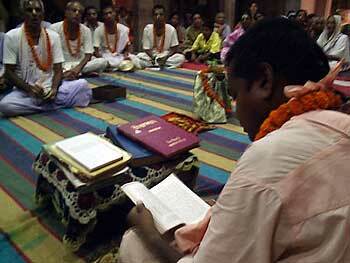 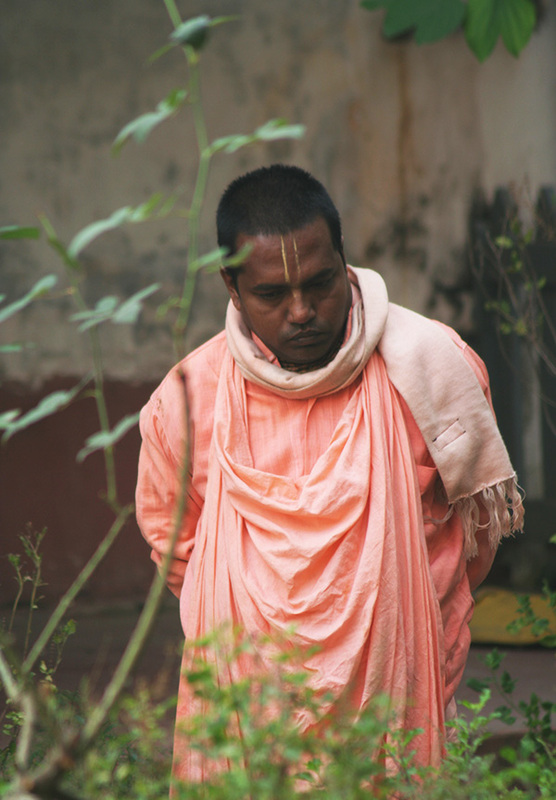 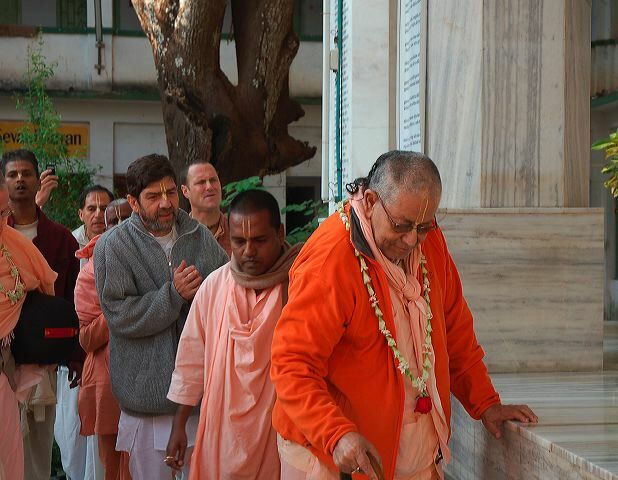 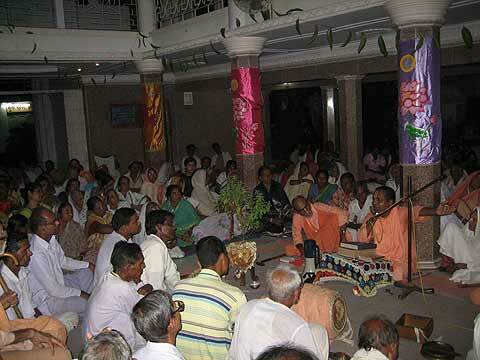 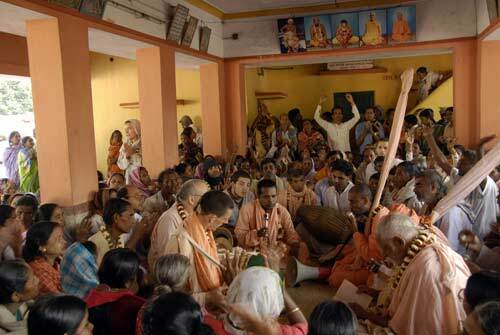 Above and below: Sri Vyasa Puja of Srila B.S. 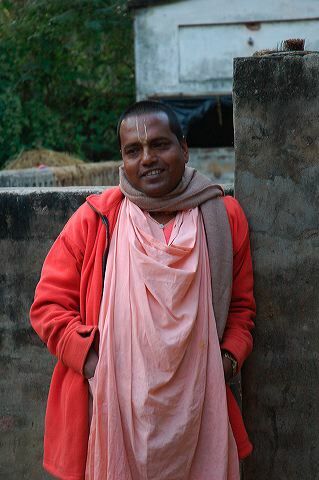 Govinda Maharaj. 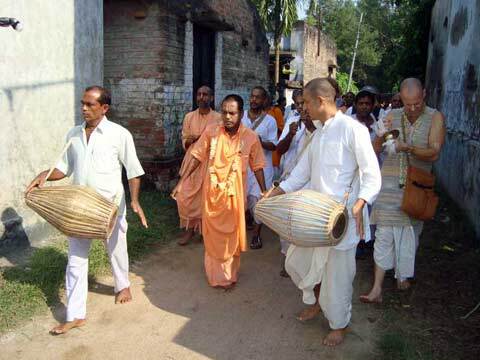 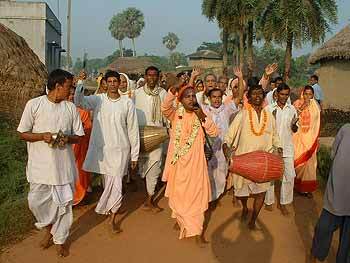 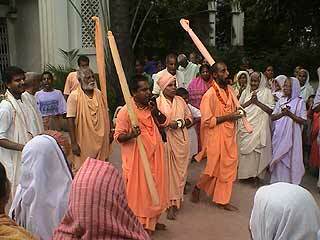 On the Gaura Purnima day. 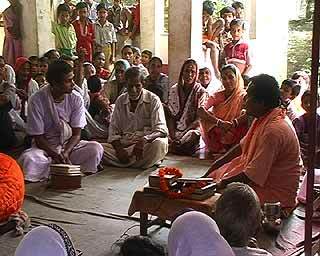 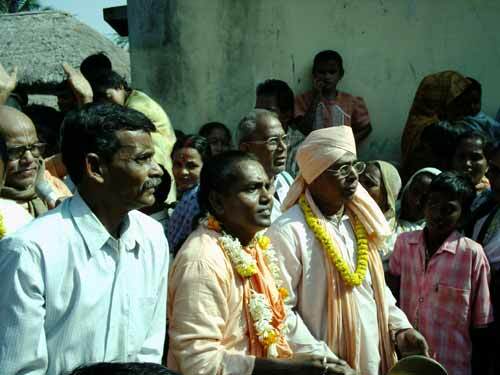 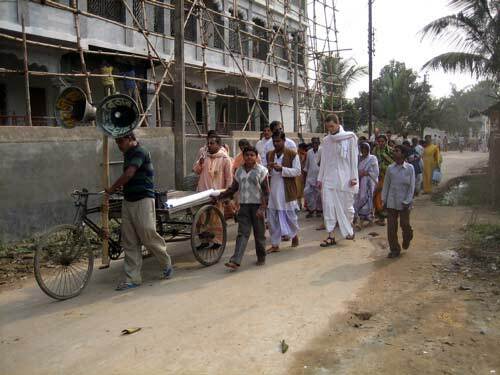 Above and below: Preaching in the areas of Bamunpara nad Islampur. 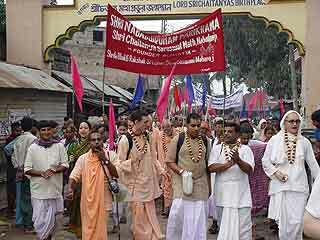 Left: Nrisingha Chaturdasi day. 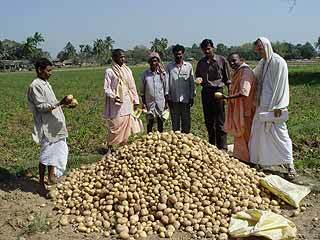 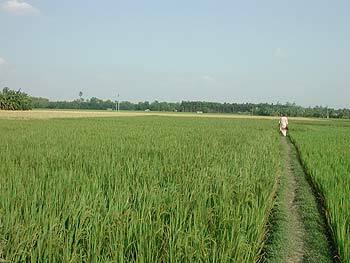 Right: Our Math's Simjali field. 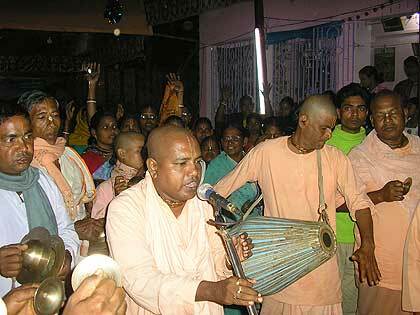 On the tirobhav day of Srila B.R. 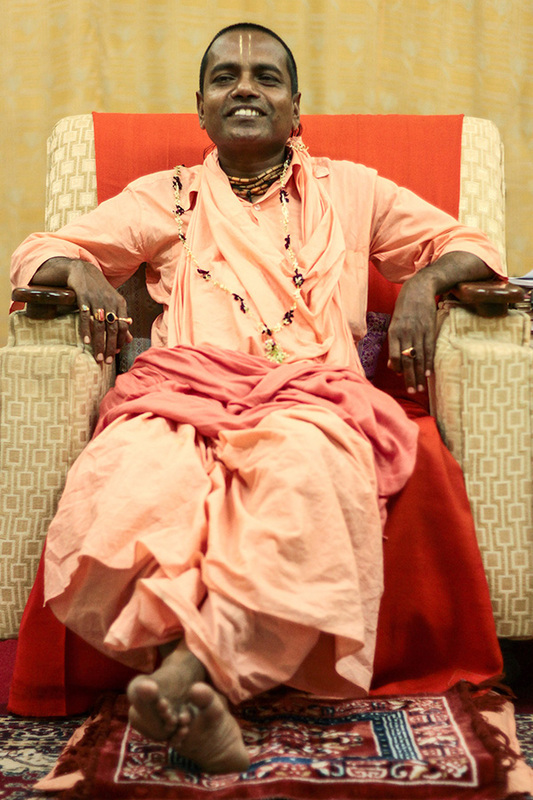 Sridhar Maharaj. 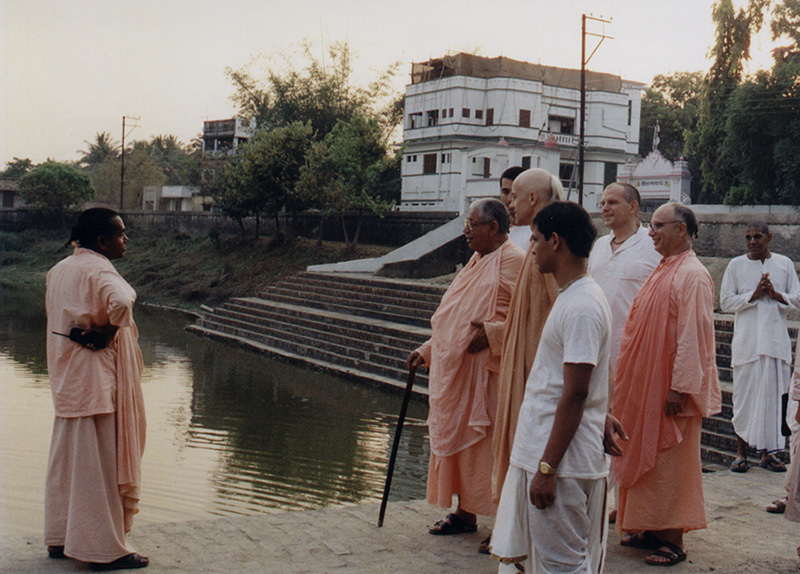 A service tranformation: before (left) and after (right). 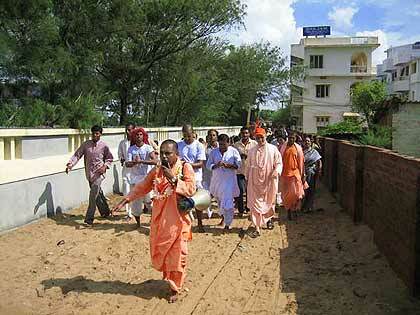 His Divine Grace leaving for preaching in Singapore. 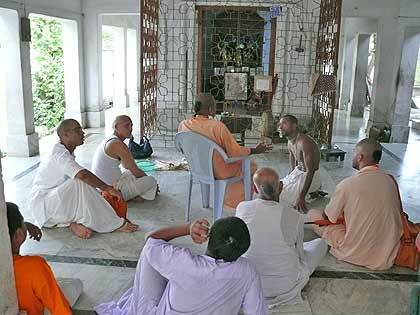 At the veranda of Srila B.S. 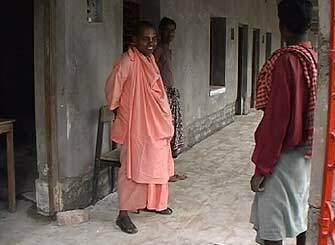 Govinda Maharaj. 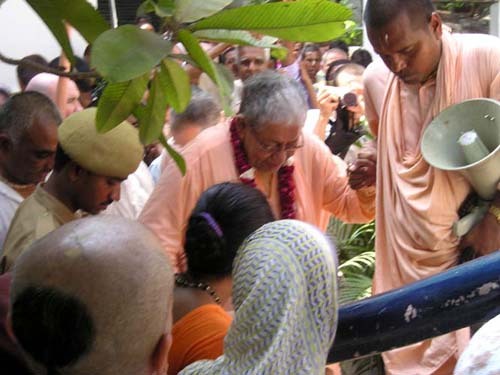 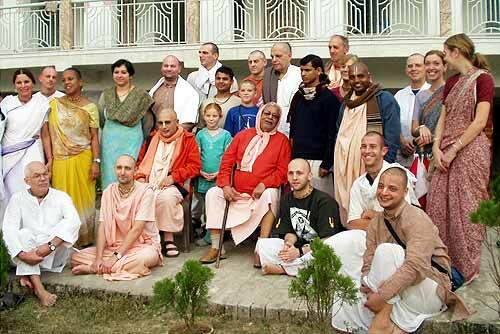 Vyasa Puja day of Srila B.S. 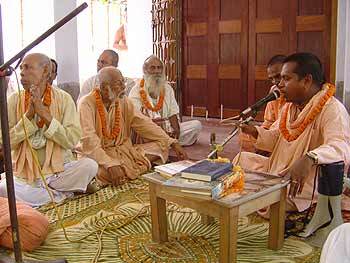 Govinda Maharaj. 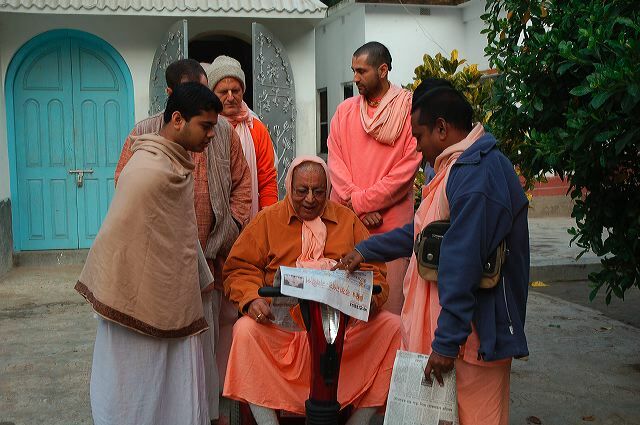 Showing a local newspaper with an article about our Math. 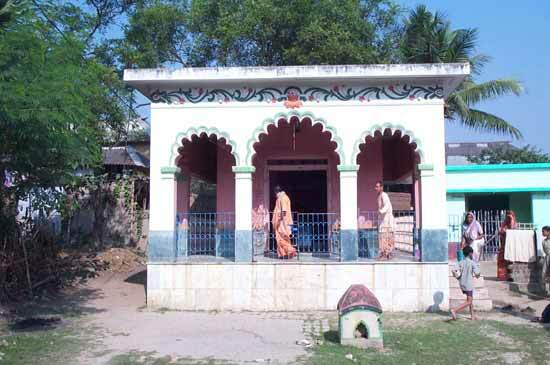 Srila B.N. 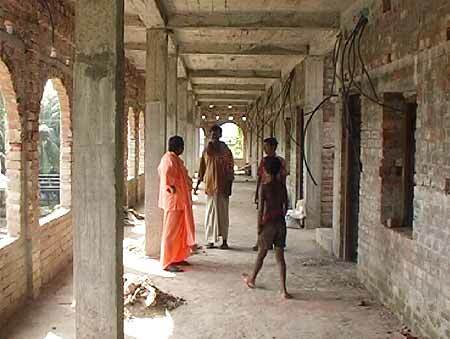 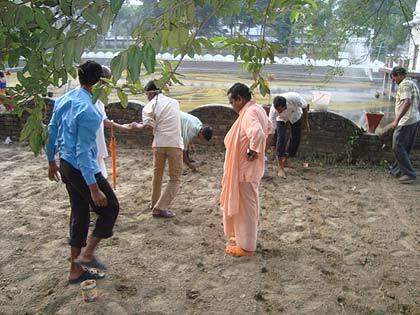 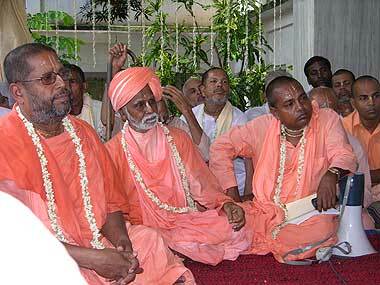 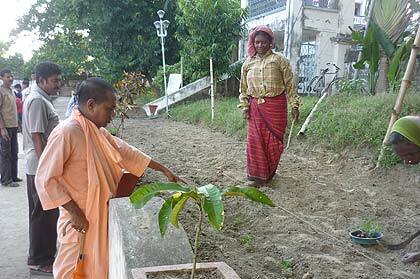 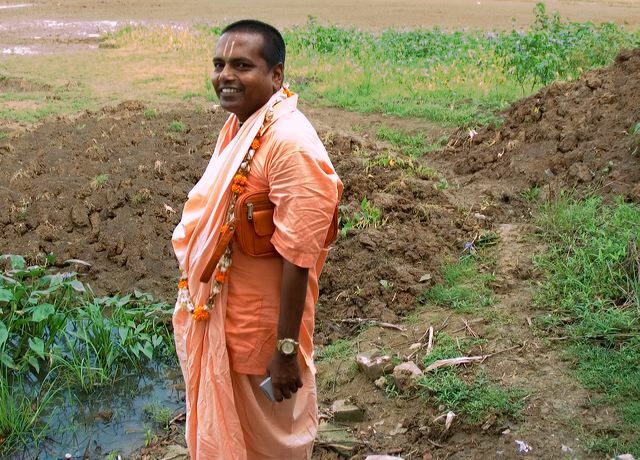 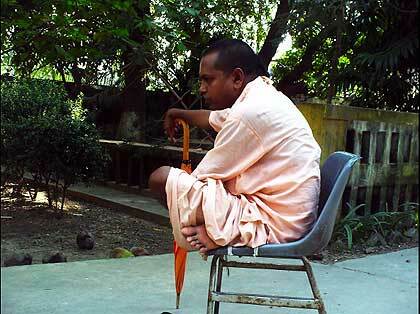 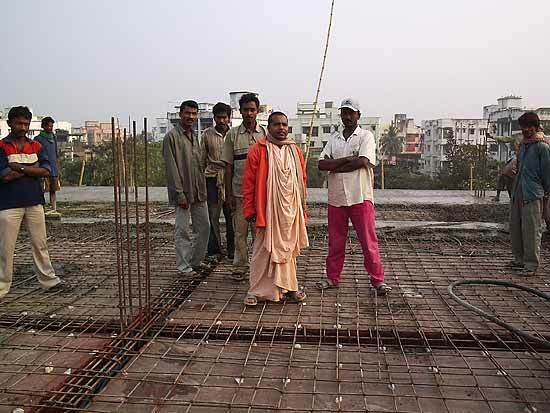 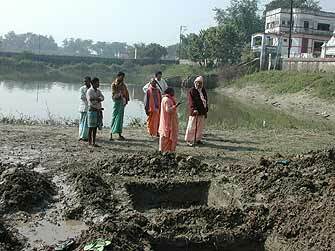 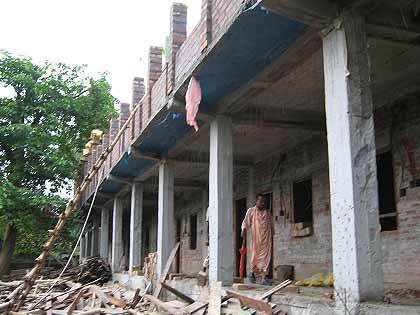 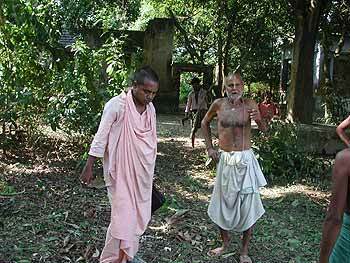 Acharya Maharaj supervising the construction of the second, larger, Sevak Bhavan in Sri Nabadwip Dham. 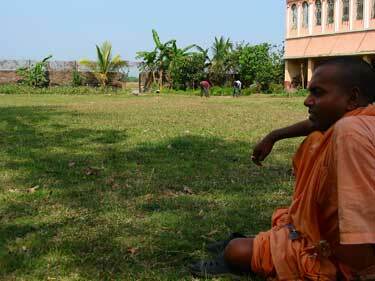 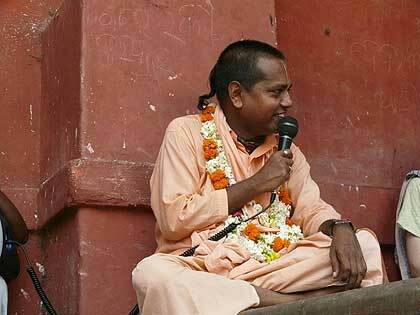 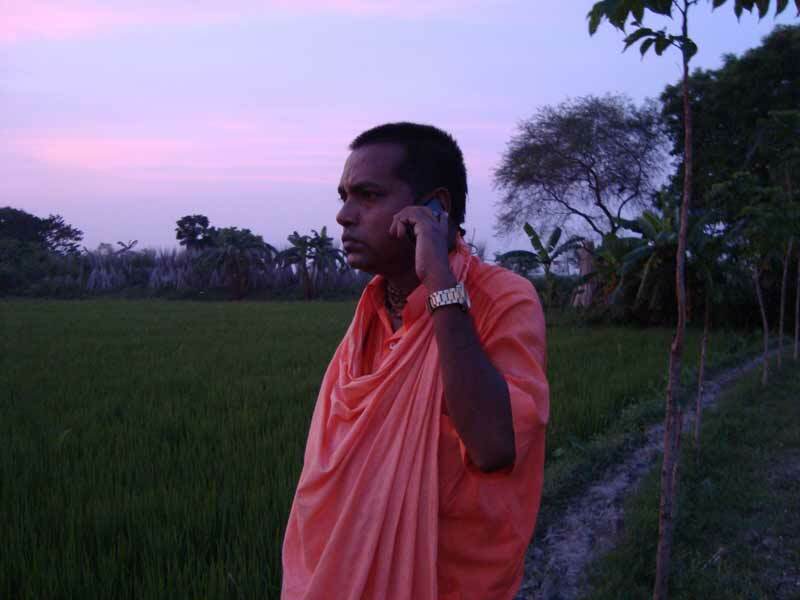 Talking to Srila B.S. 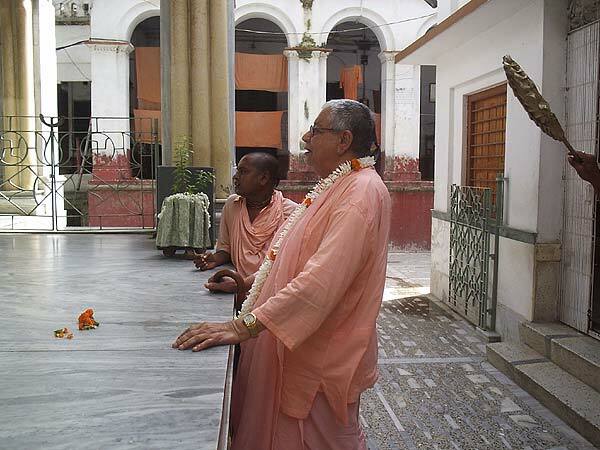 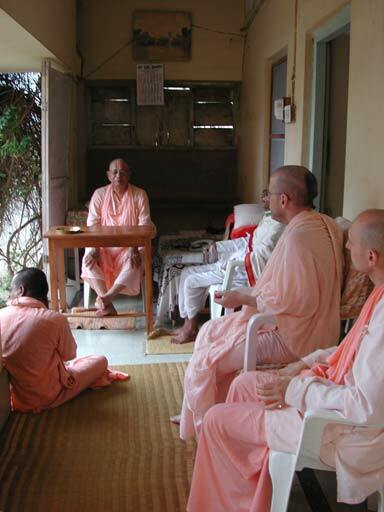 Govinda Maharaj at the veranda of Srila B.R. 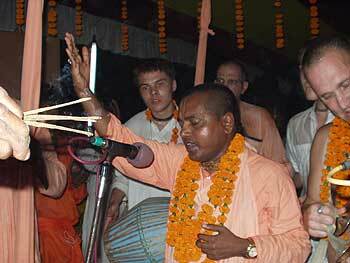 Sridhar Maharaj. 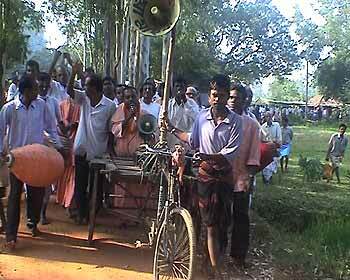 On the way to village preaching. 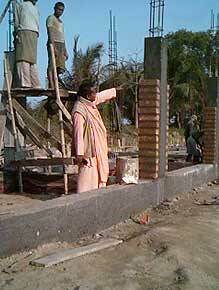 Supervising some further construction at Sri Nabadwip Dham. 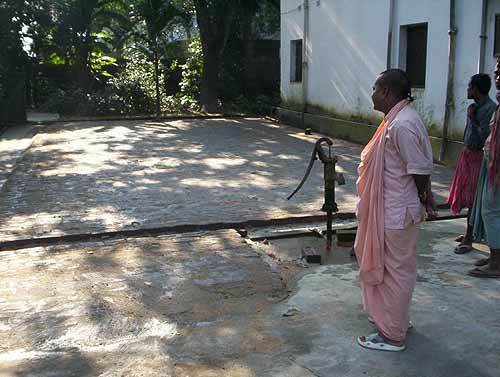 Successful reboring of an old well. 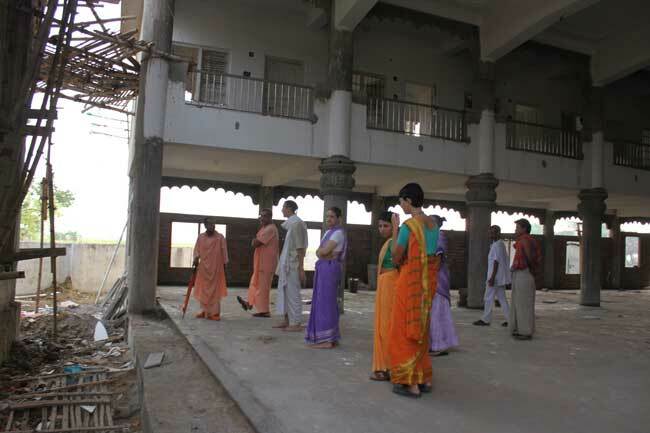 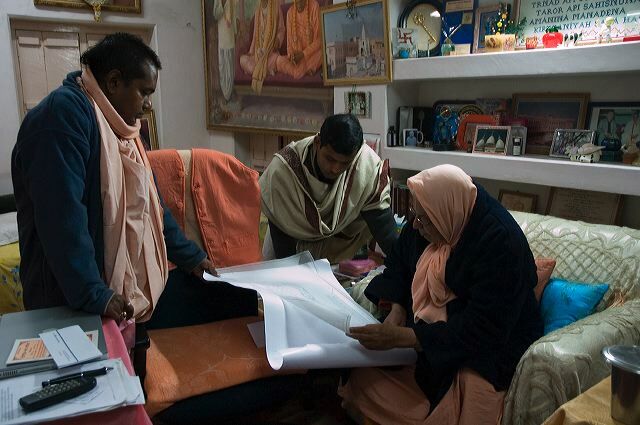 Examining the progress of the large Sevak Bhavan. 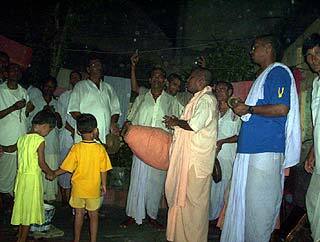 On Sri Janmastami day (below too). 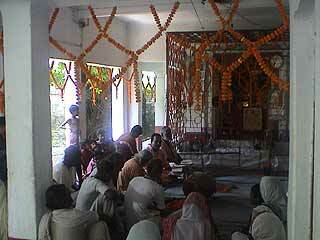 At Sri Hapaniya Dham (below too). 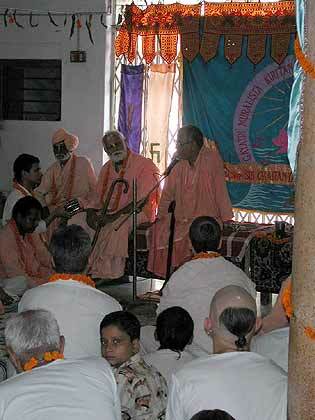 At the Vaishnava Assembly in honour of Srila Bhakti Vinod Thakur's appearance day. 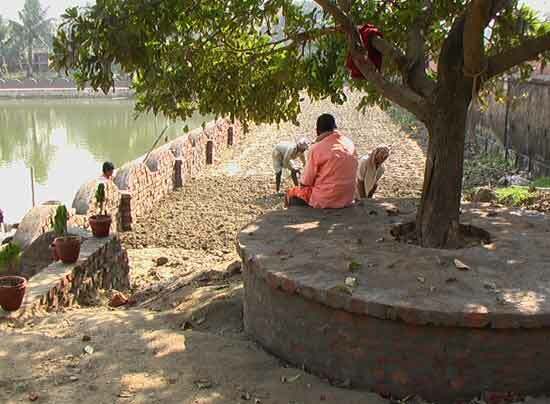 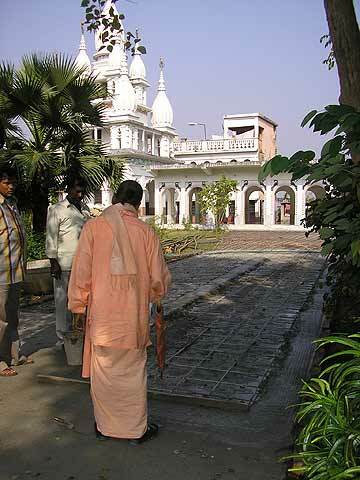 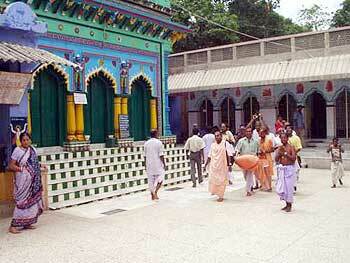 Sri Kartik parikrama at Sri Nabadwip Dham. 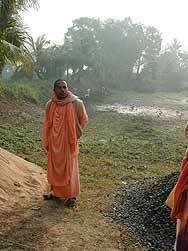 Left: Parikrama morning. 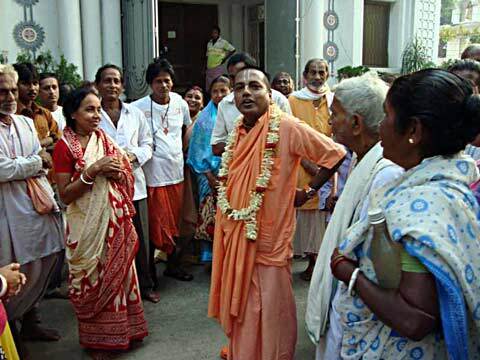 Right: At the large Sevak Bhavan. 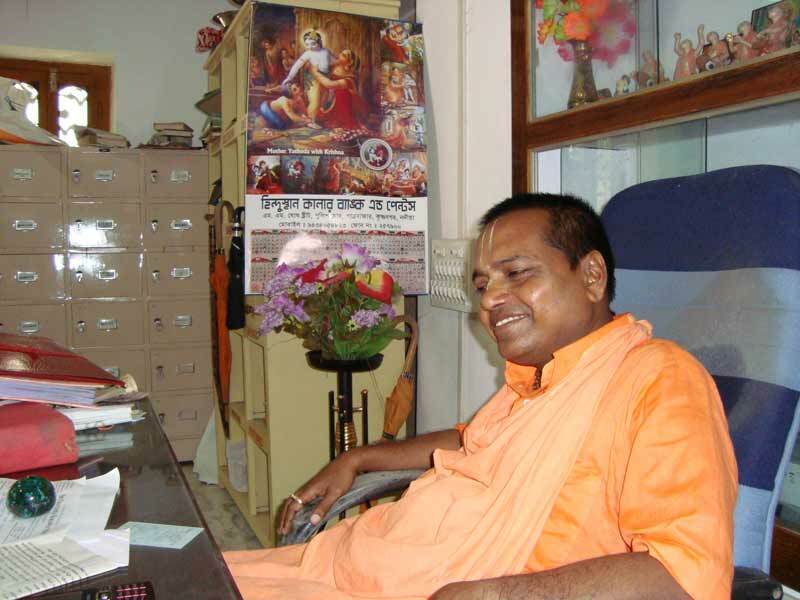 Above and below: Srila B.R. 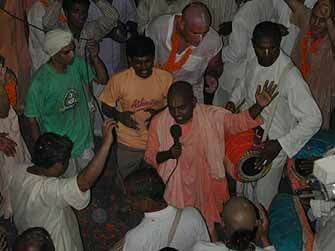 Sridhar Maharaj's tirobhav day. 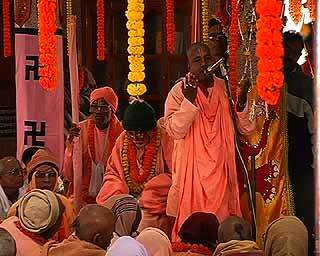 worldwide prayer for his recovery. 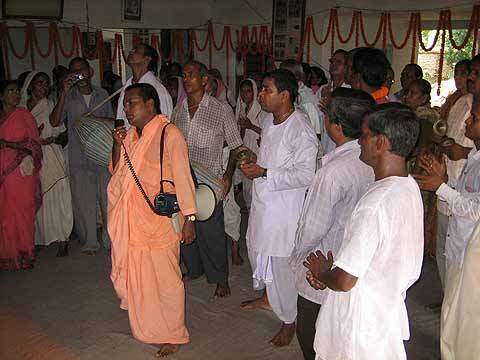 These two photographs is taken at the programme in Sri Nabadwip Dham. 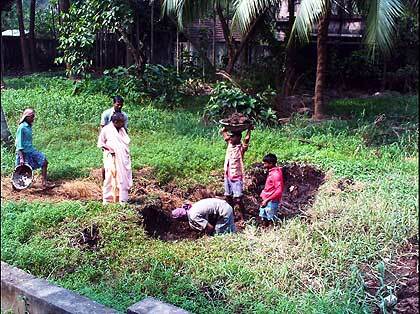 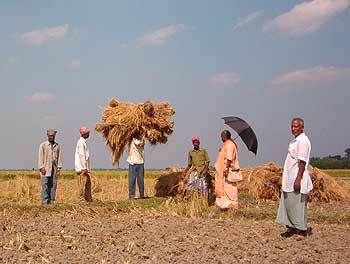 Left: digging out aging cow dung for fertiliser. 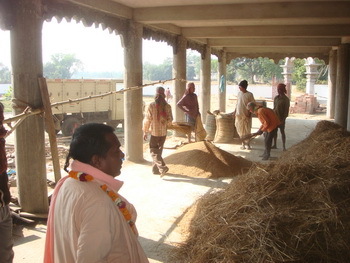 Right: supervising coconut collection and packaging. 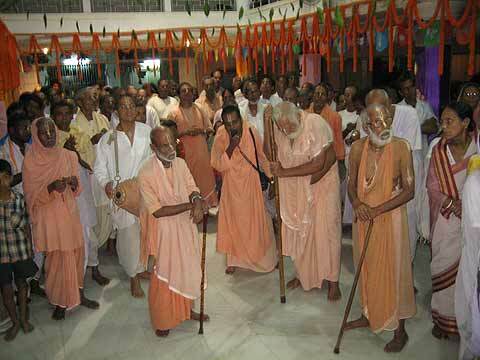 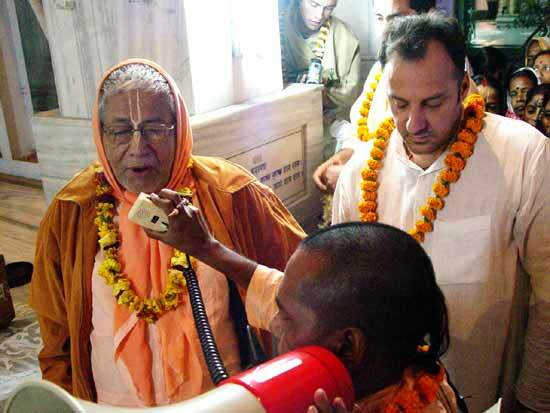 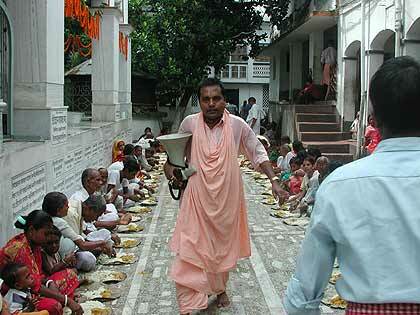 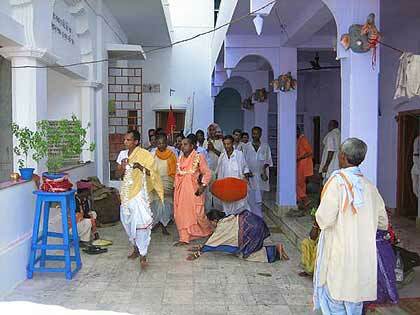 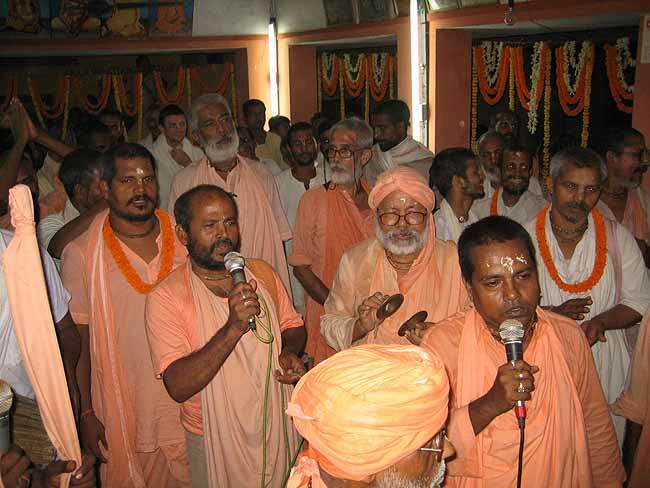 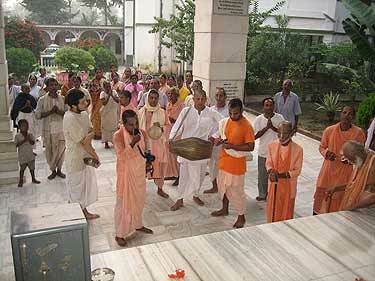 Left: special programme at the temple of Sri Giriraj at Sri Govinda Kunda. 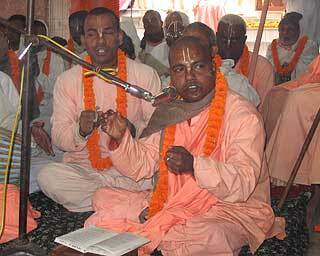 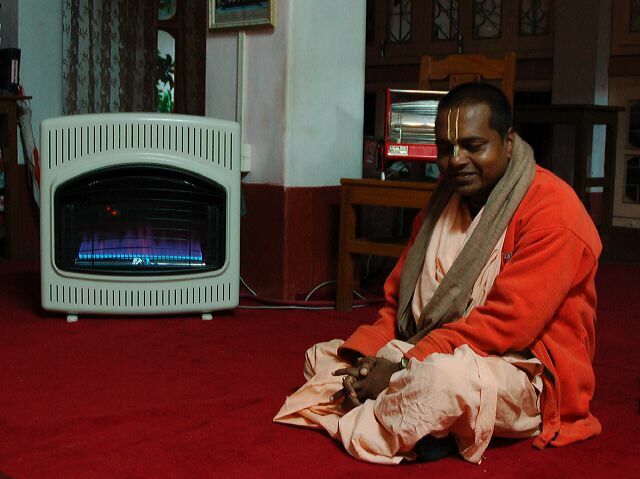 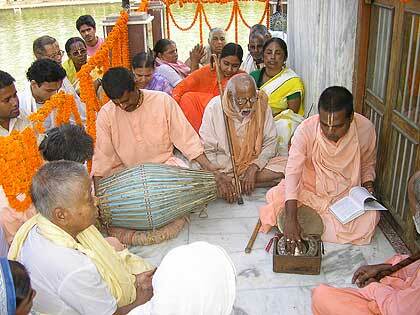 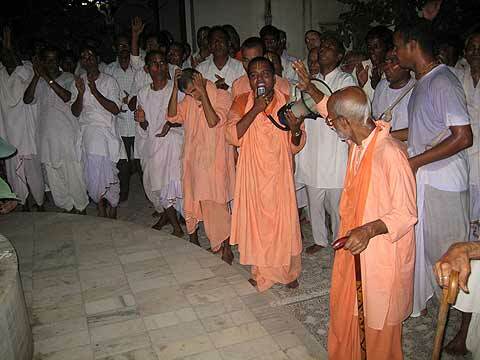 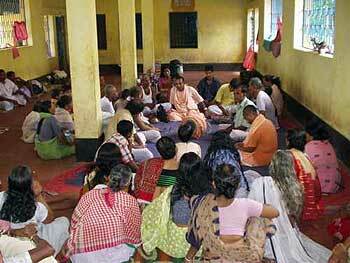 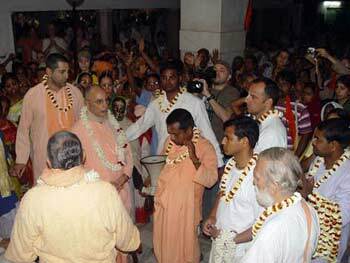 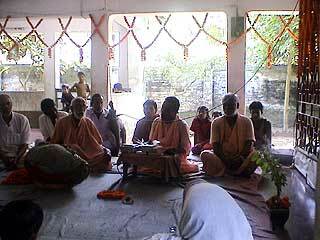 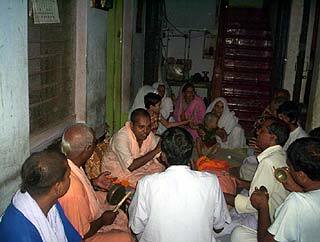 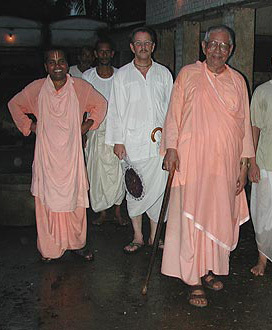 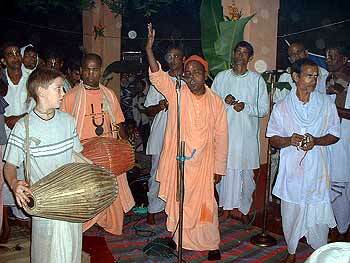 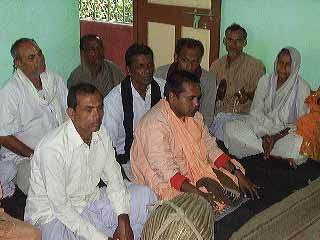 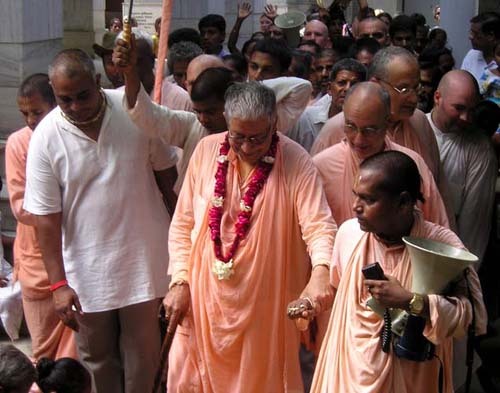 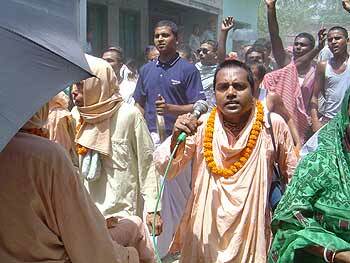 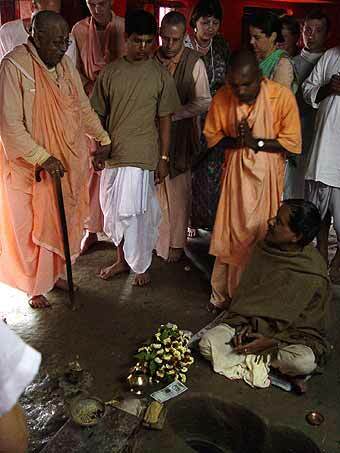 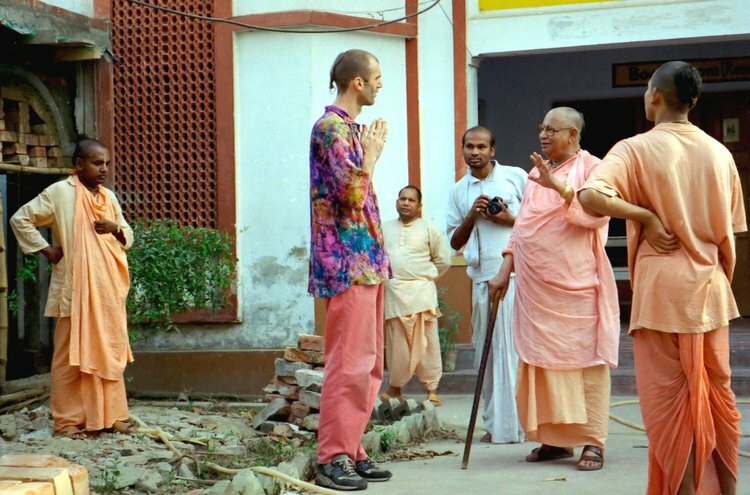 Right: fire yajna held for the departed Sutanbala Devi Dasi, a dear disciple of Srila B.R. 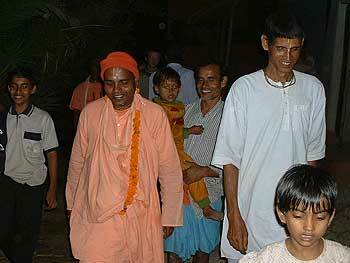 Sridhar Maharaj. 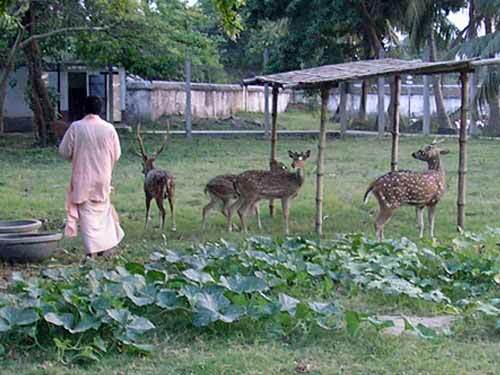 Left: At the Land of Nectar. 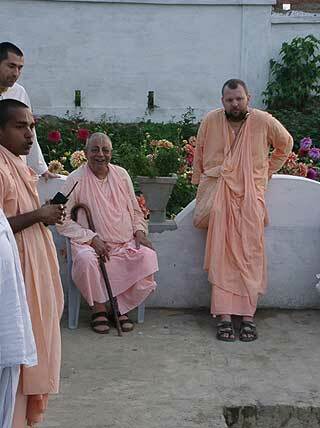 Right: In Ulluberia. 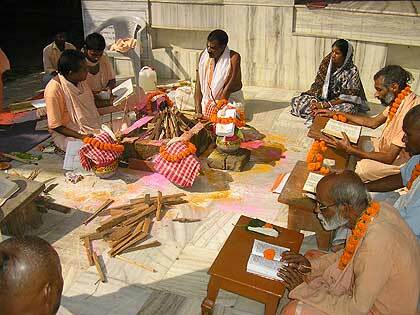 Left: Fire yajna for departed Sankari Devi Dasi. 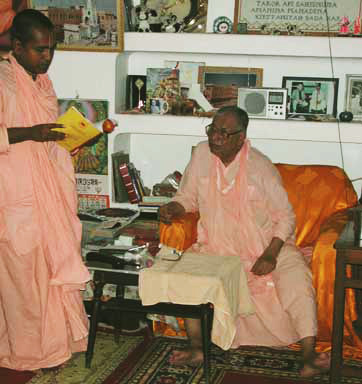 Right: on the day of Srila B.S. 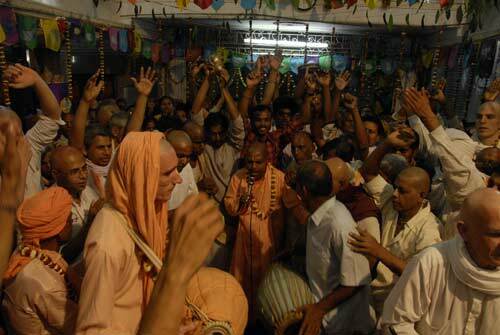 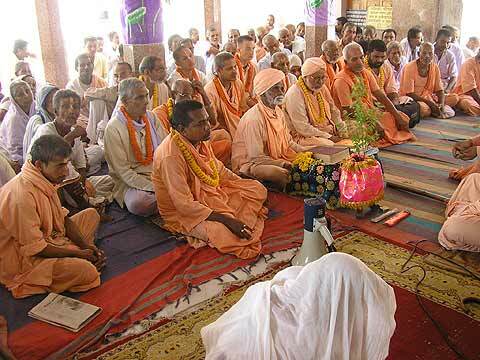 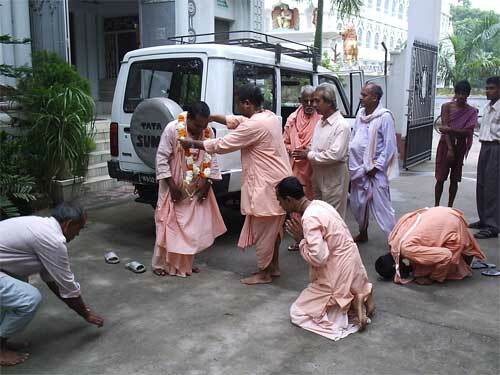 Govinda Maharaj's Vyasa Puja. 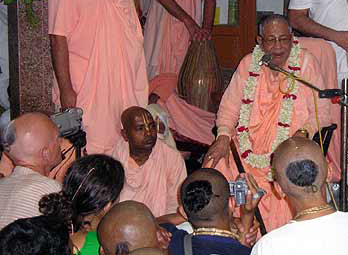 The programme on the disappearance Day of Srila B.R. 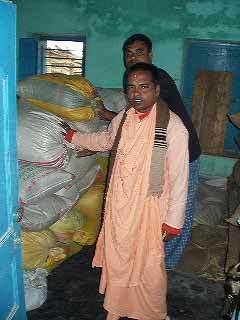 Sridhar Maharaj. 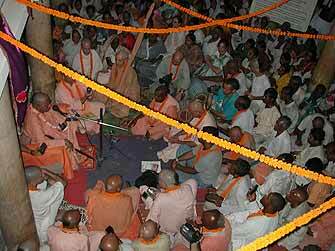 Above and below: At Sri Bamunpara Dham. 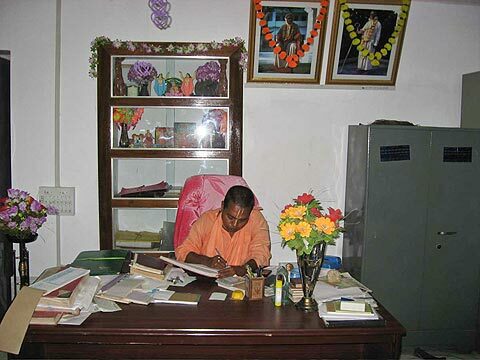 In the office at Sri Nabadwip Dham. 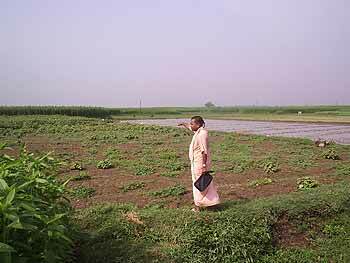 In a field of our Math. 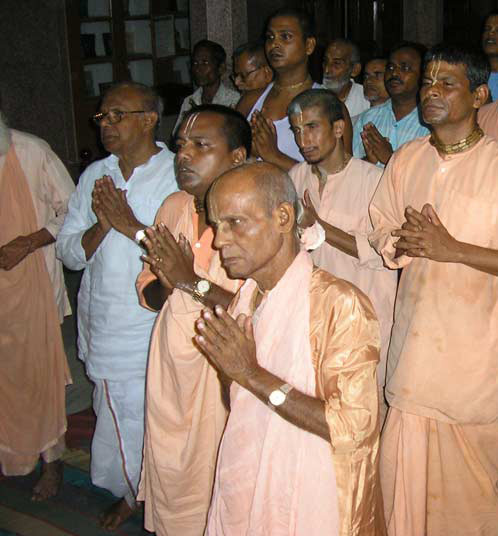 Above and below: On the appearance day of Srila B.R. 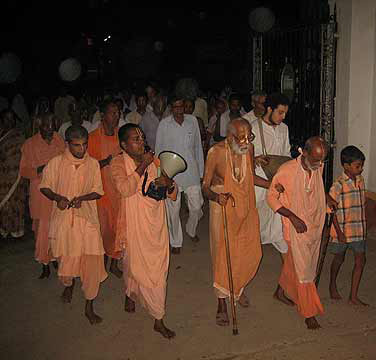 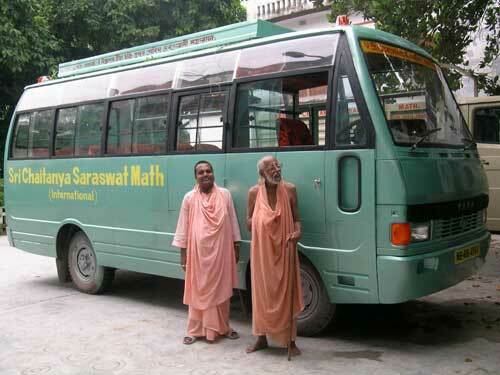 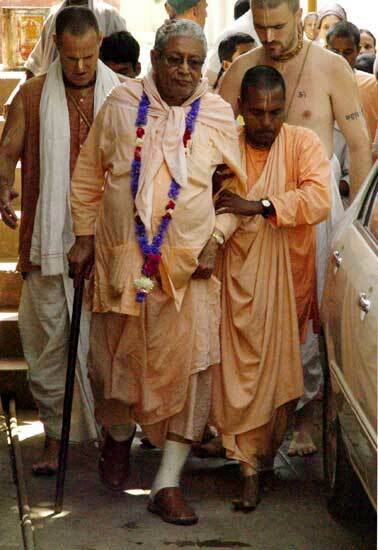 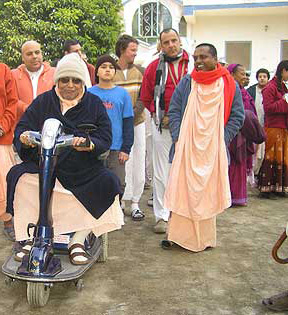 Sridhar Maharaj, leaving for Sri Hapaniya Dham. 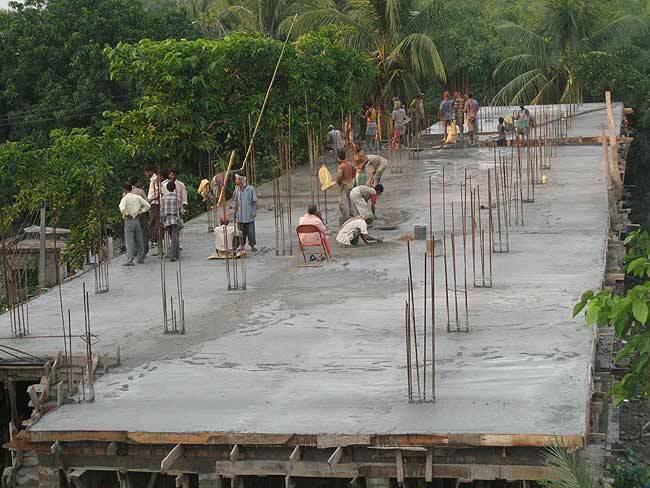 The construction of the grand Ekachakra nat mandir. 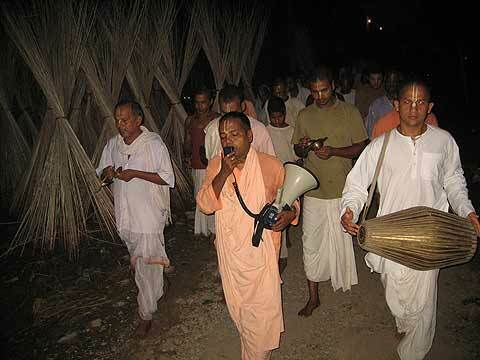 On Sri Nrisingha Chaturdasi Day. 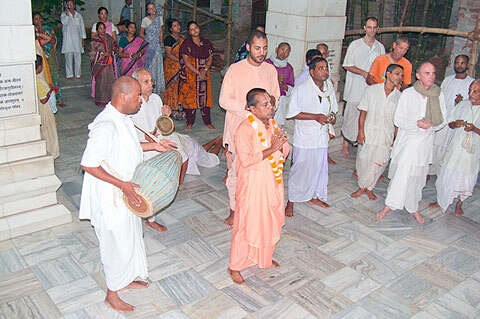 At Sri Hapaniya Dham temple. 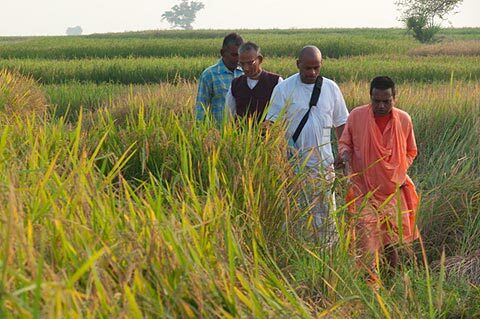 In the fields of Sri Ekachakra Dham. 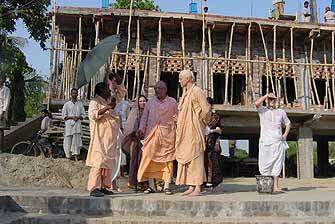 Taken at the veranda of His Divine Grace in Sri Ekachakra Dham. 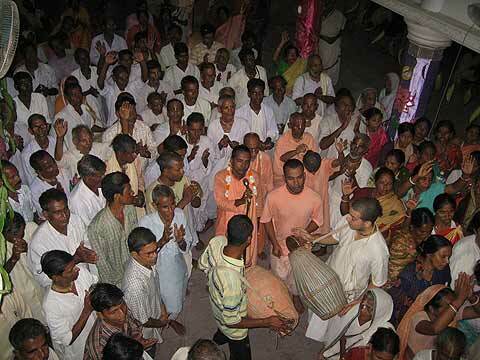 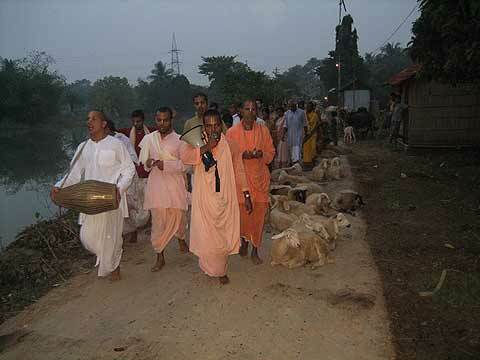 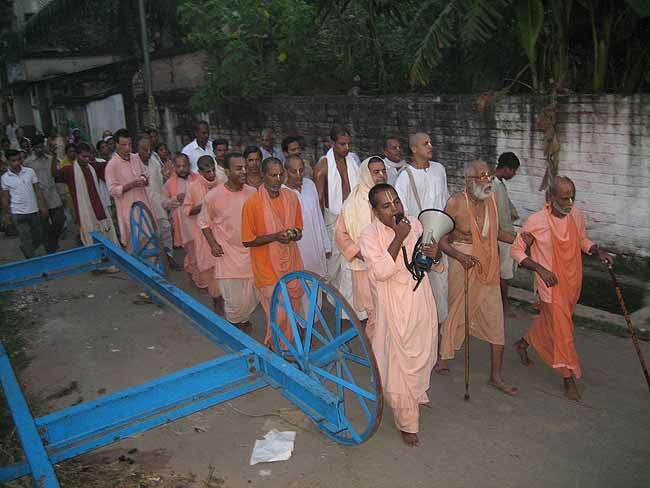 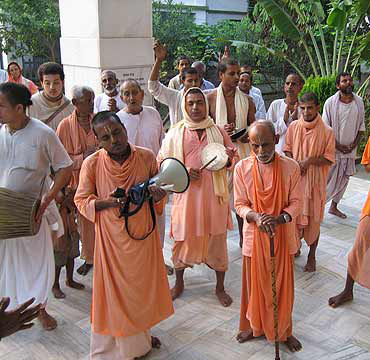 During the Gaura Purnima Parikrama. 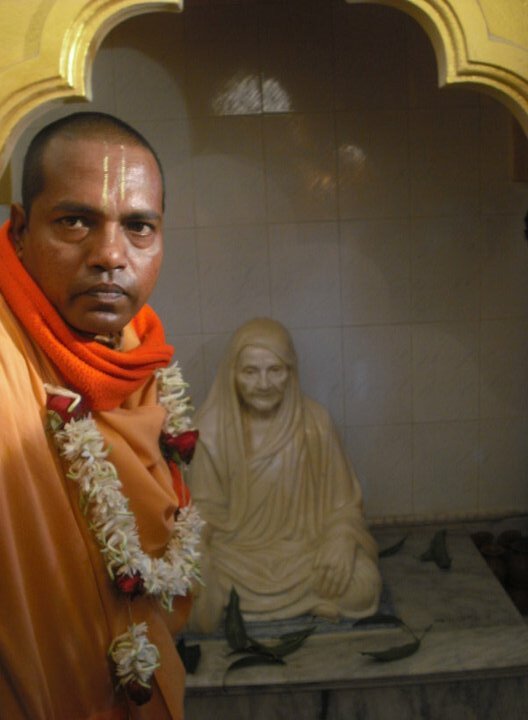 worshippable mother of Srila B.S. 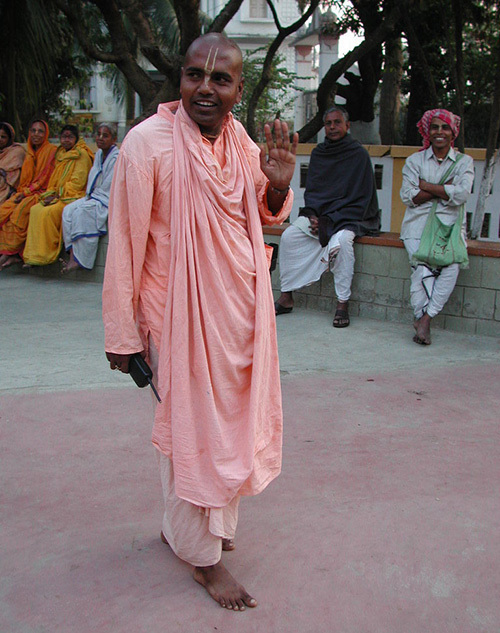 Govinda Maharaj. 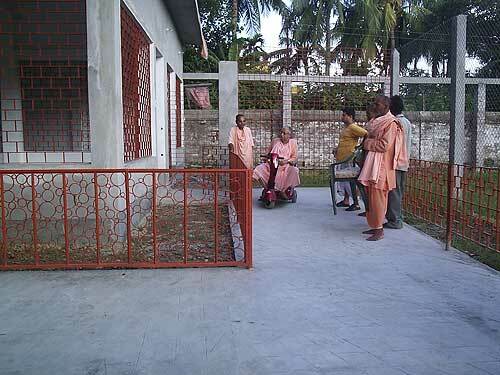 At the veranda of Srila B.S. 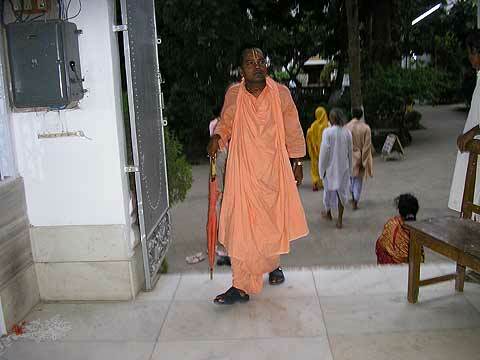 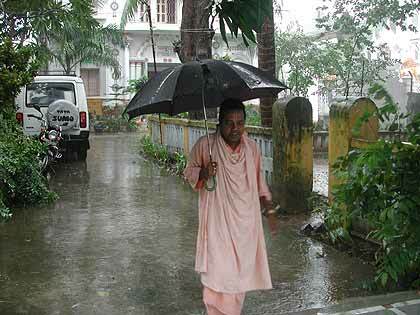 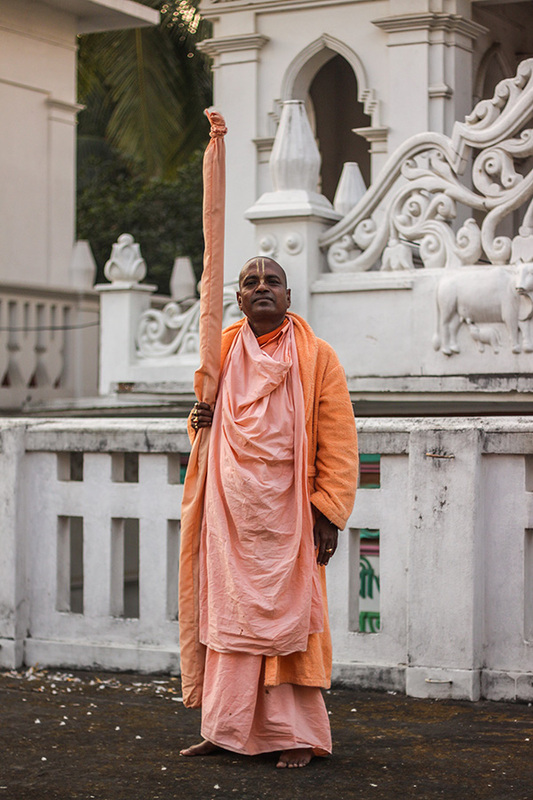 Govinda Maharaj, in Sri Nabadwip Dham. 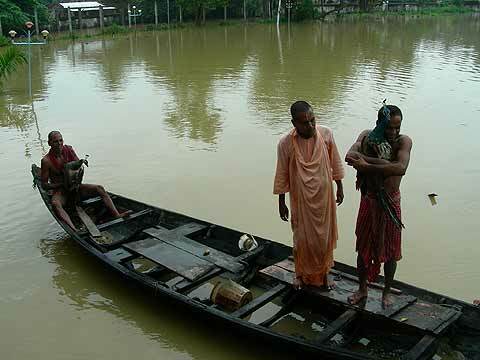 Transporting the peacocks to a safe place until the flood subsides. 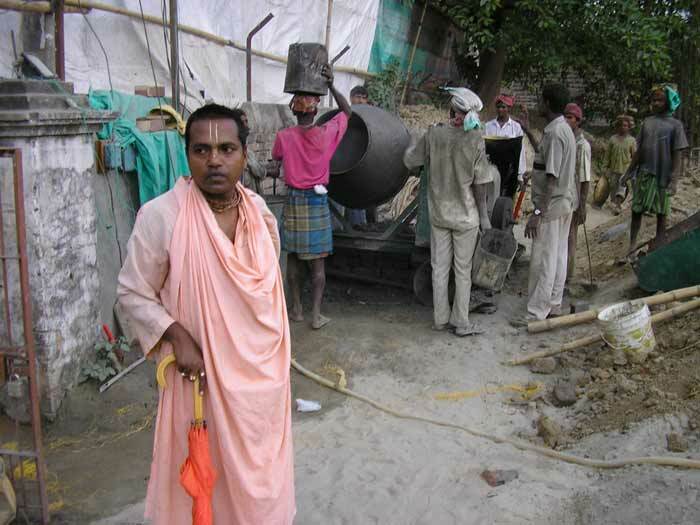 Supervising the works at Sri Bamunpara temple. 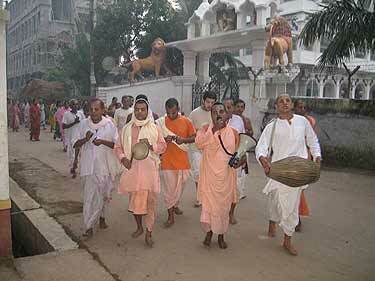 During the kartirk parikrama at Sri Nabadwip Dham. 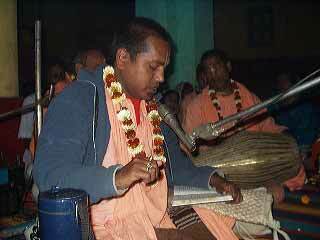 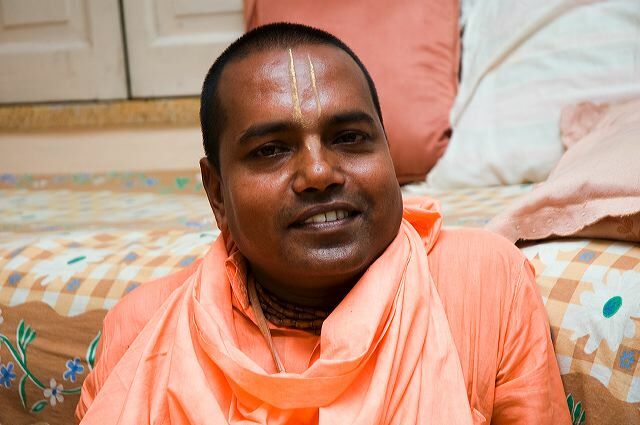 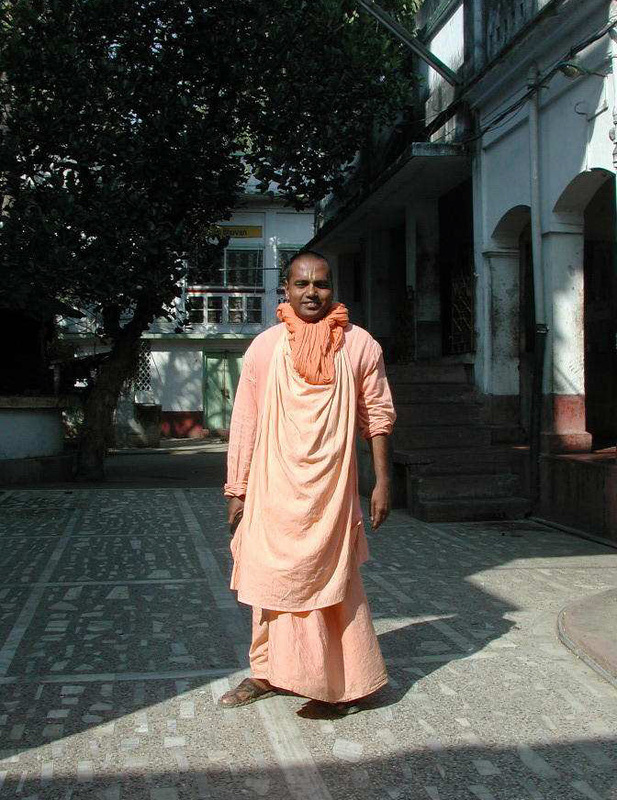 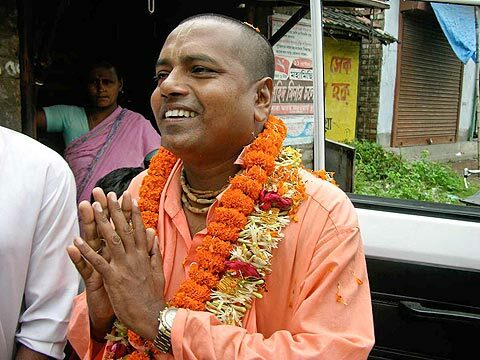 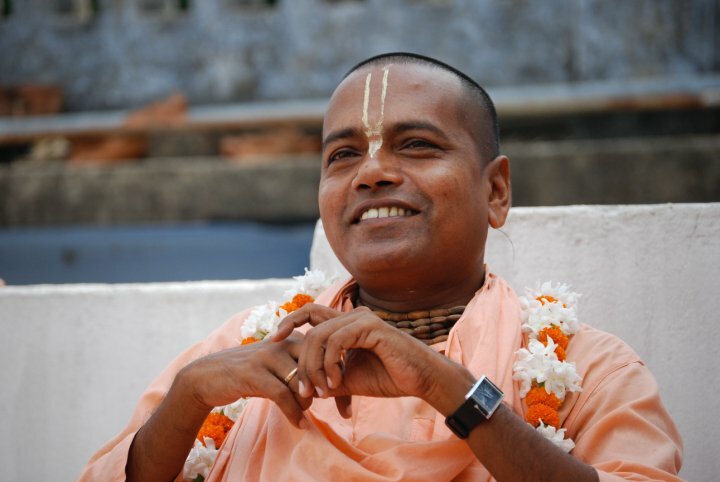 Jay Om Vishnupad Sri Srimad Bhakti Nirmal Acharya Maharaj ki jay!